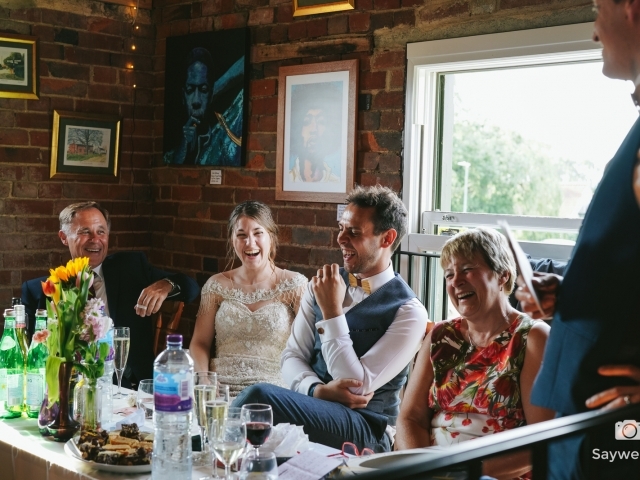 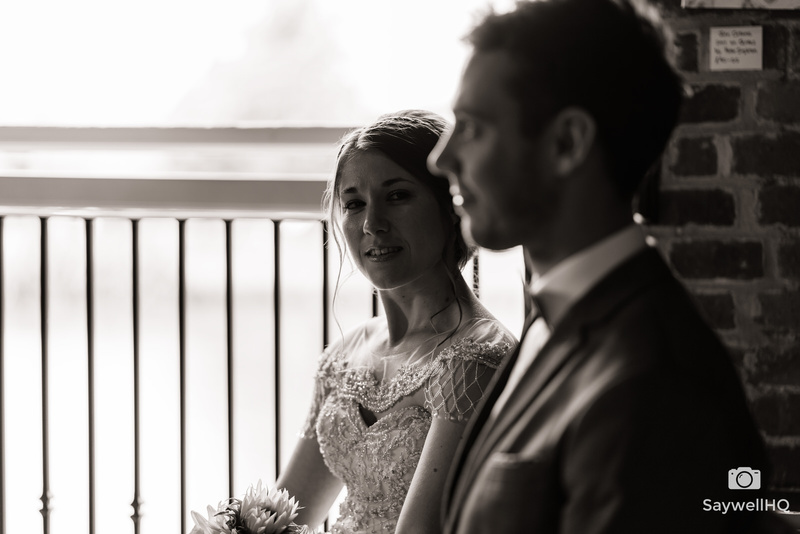 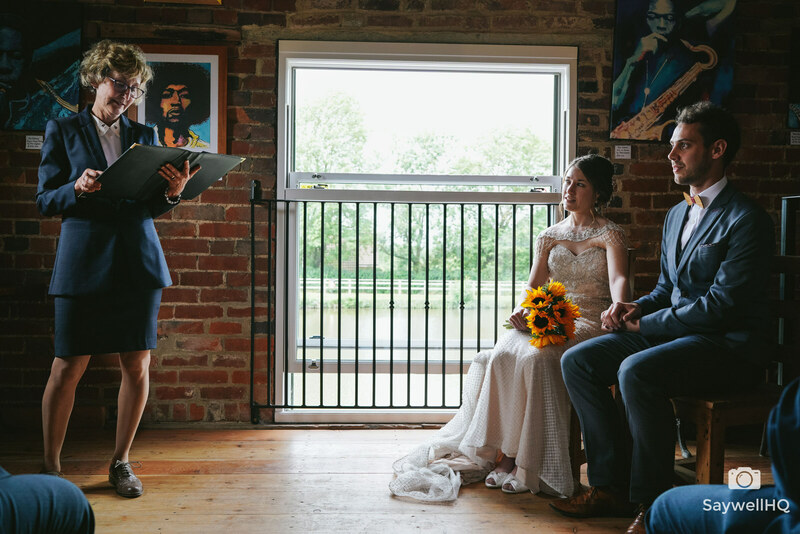 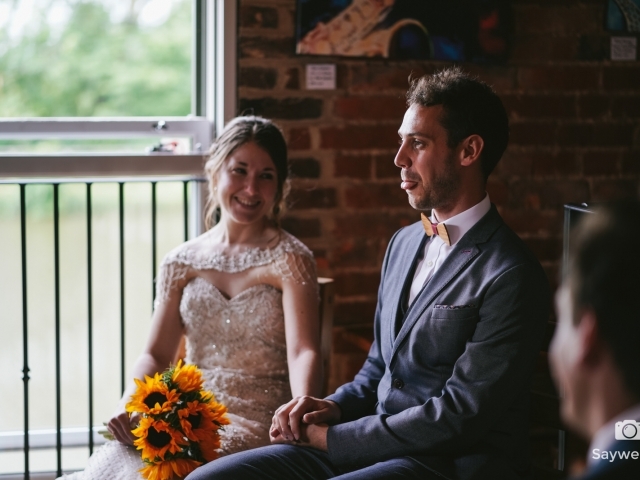 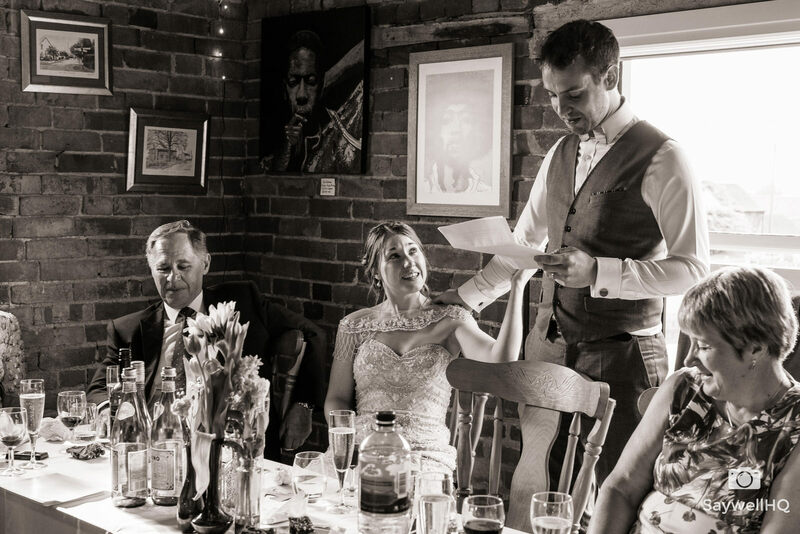 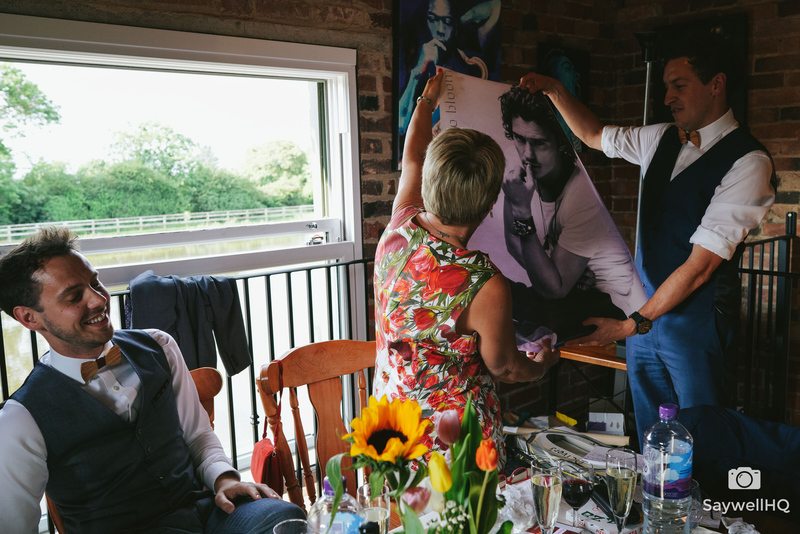 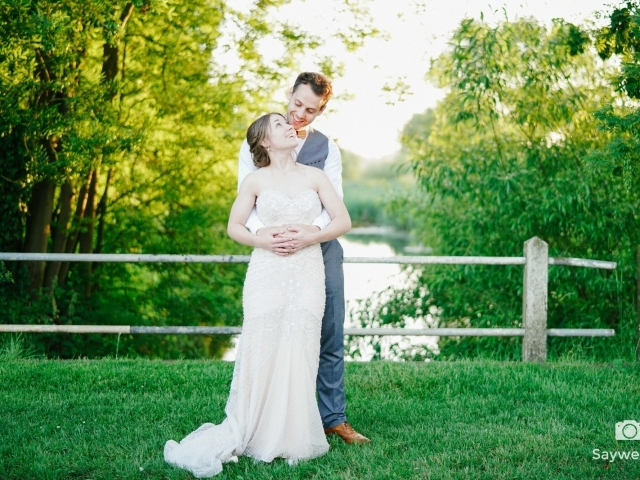 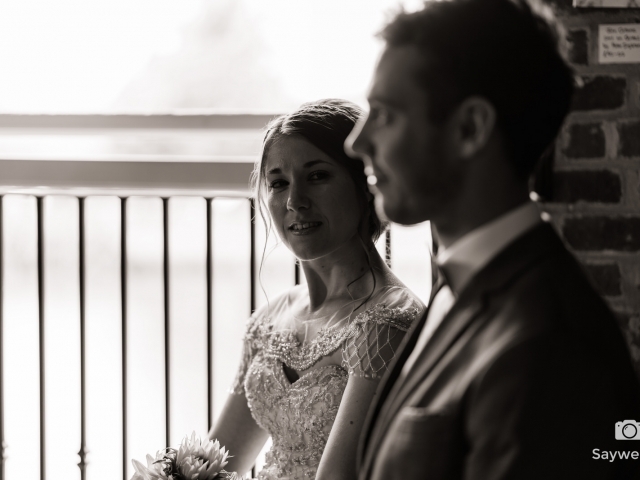 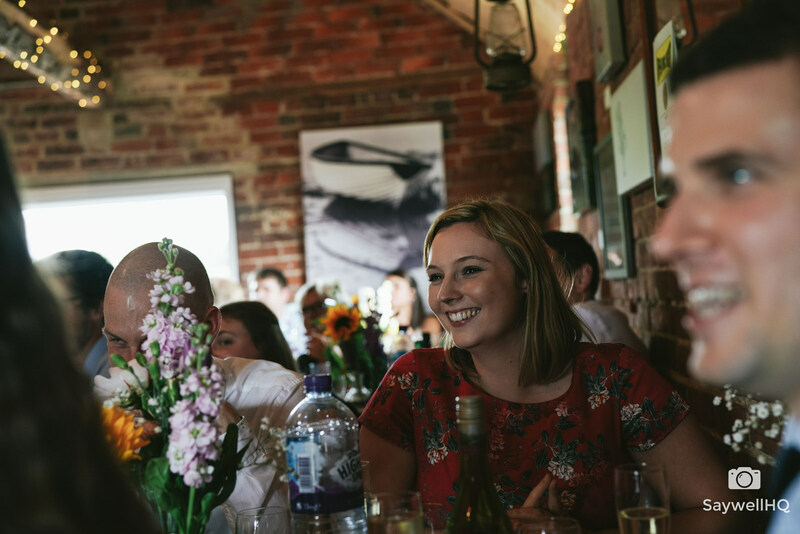 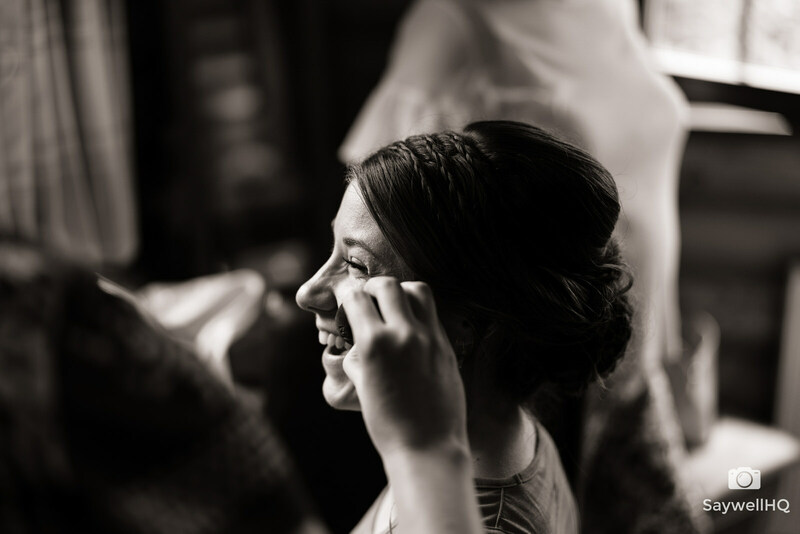 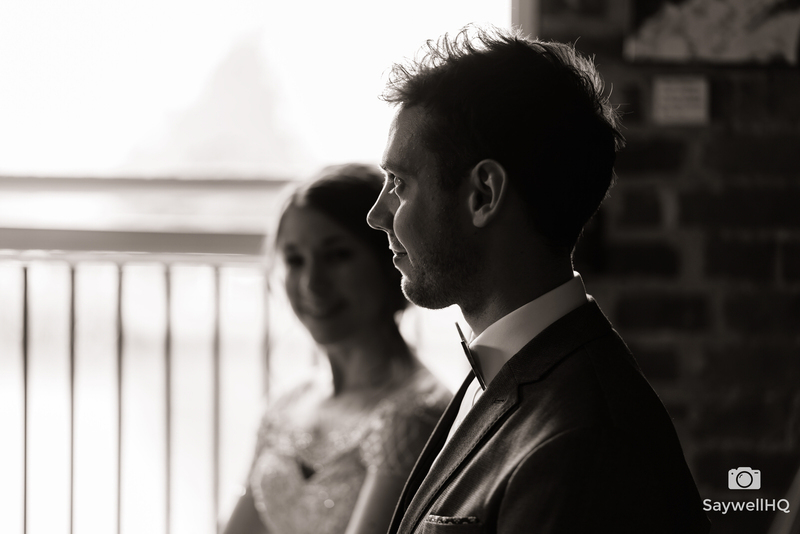 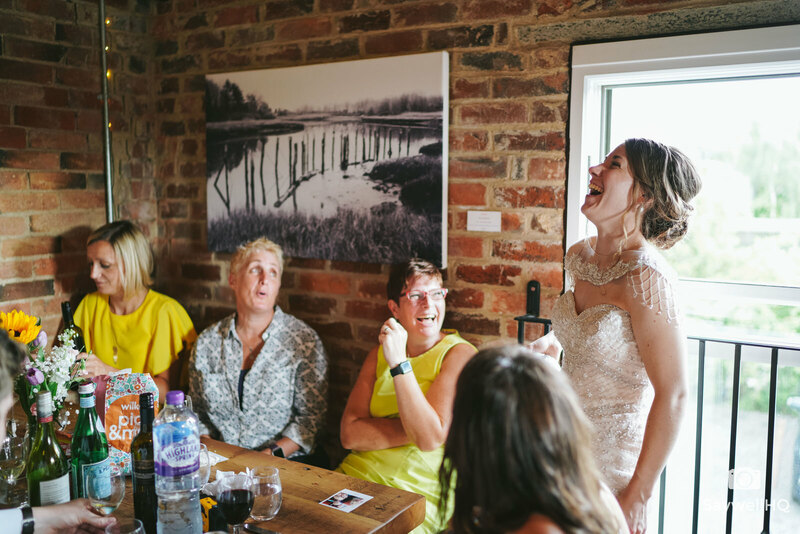 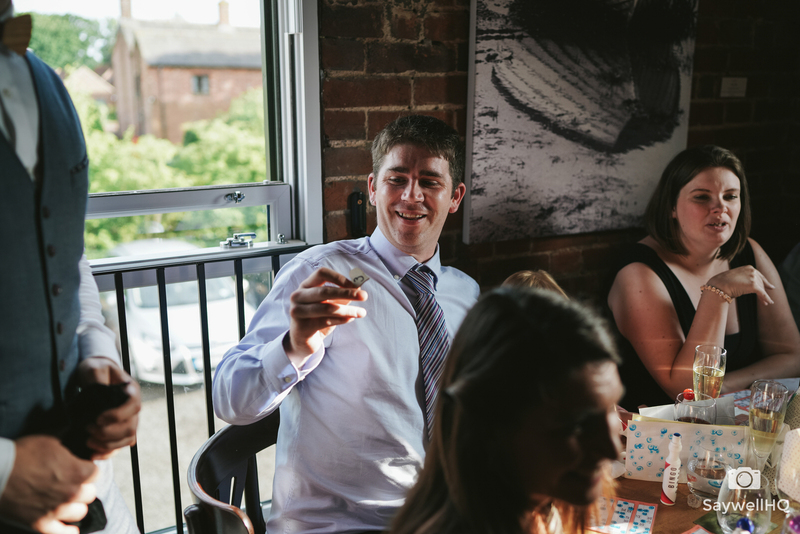 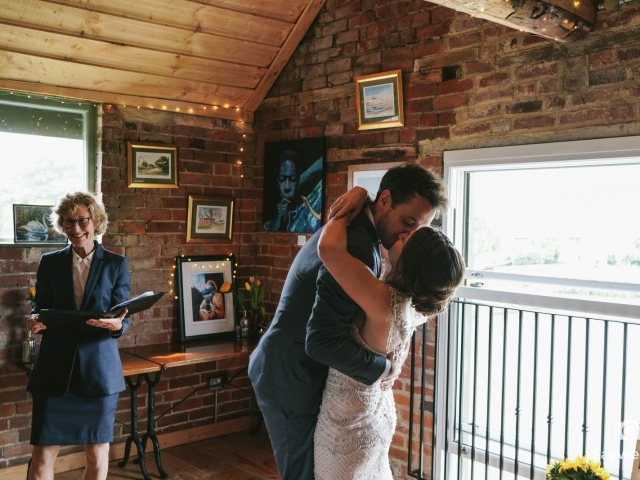 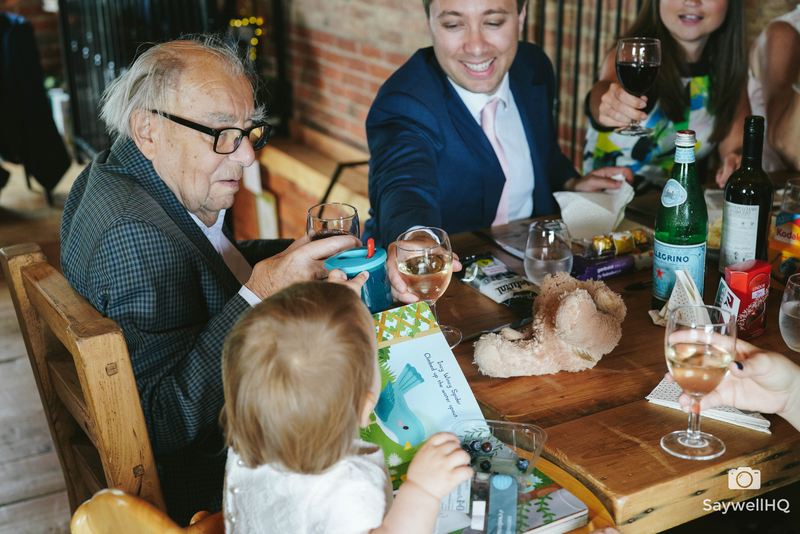 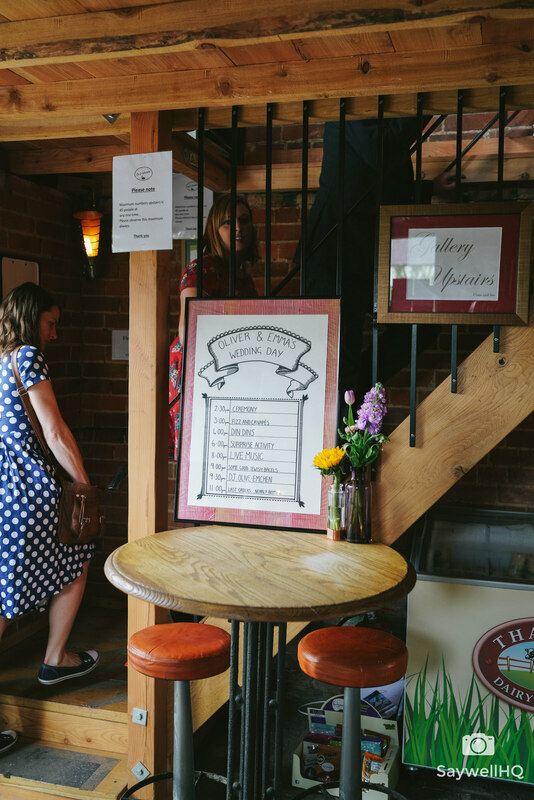 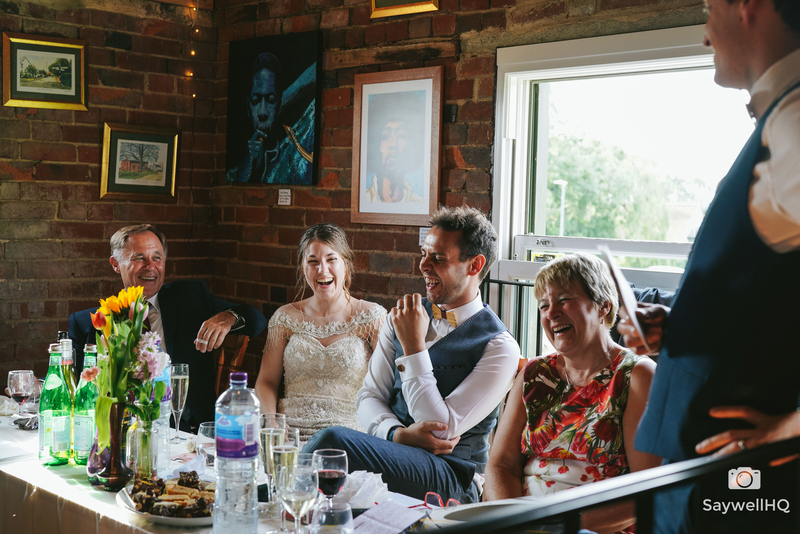 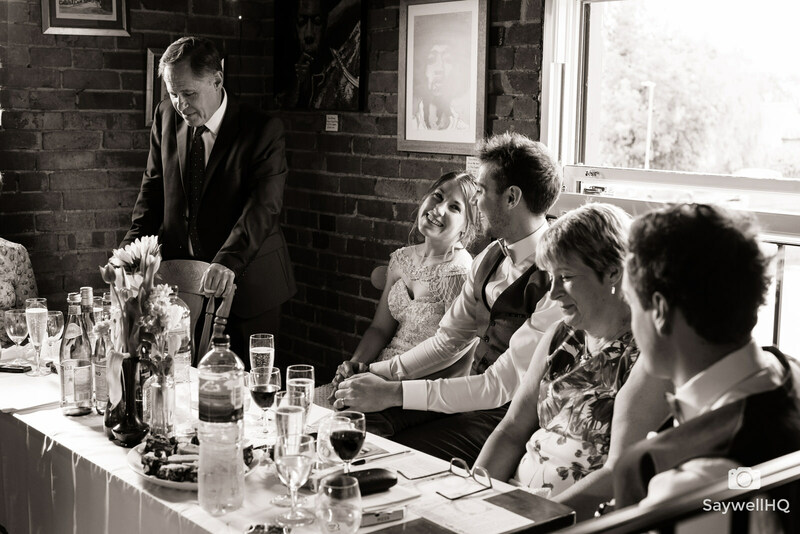 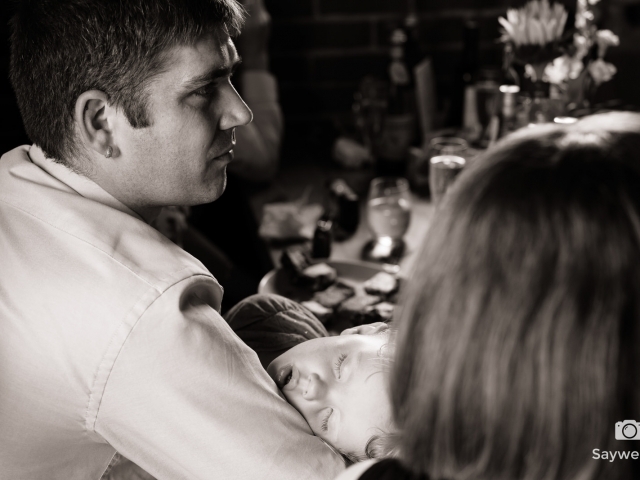 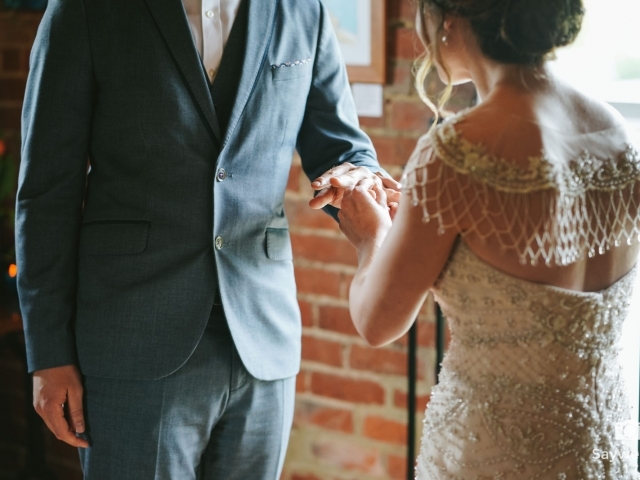 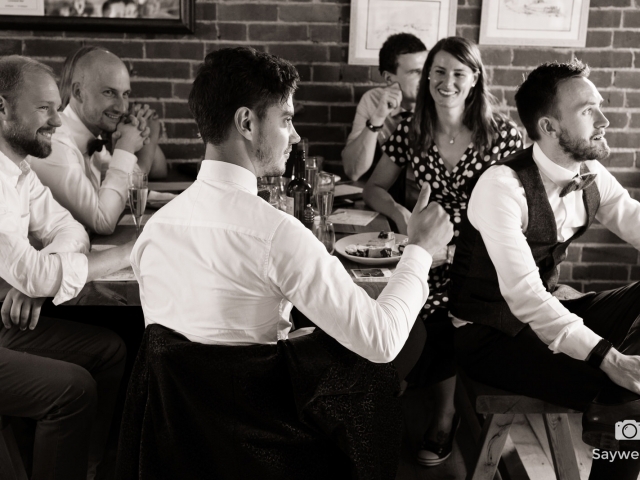 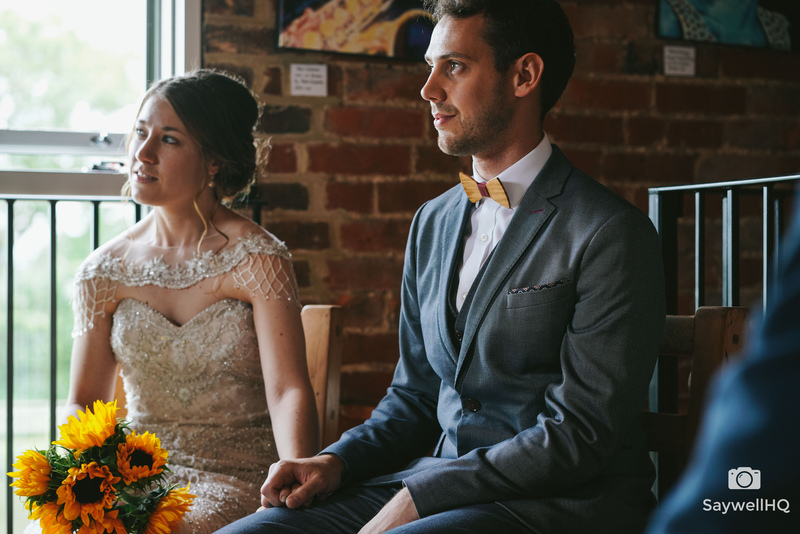 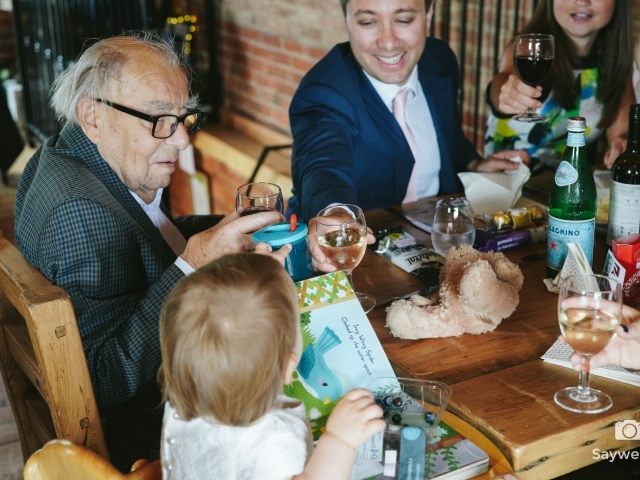 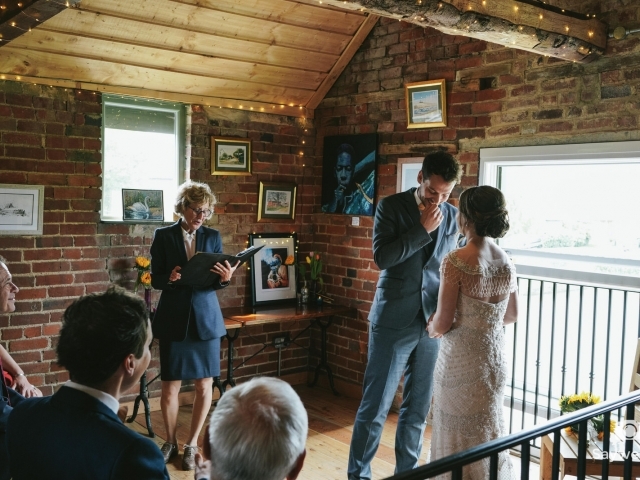 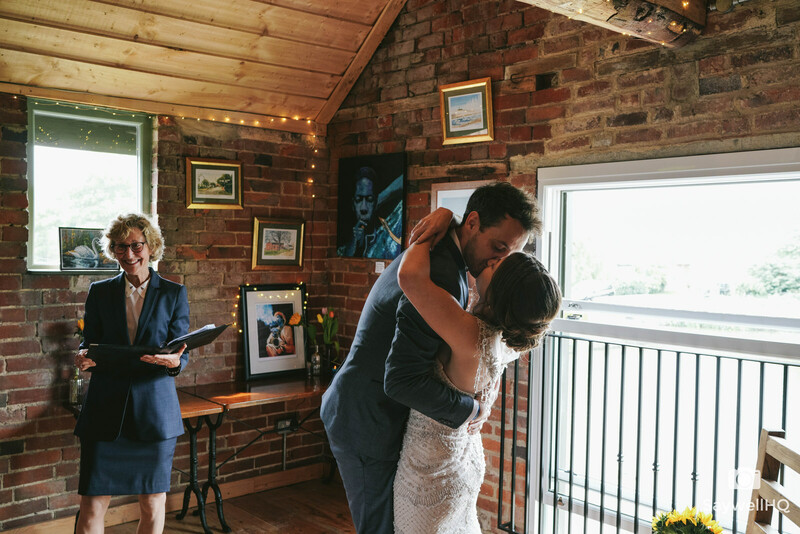 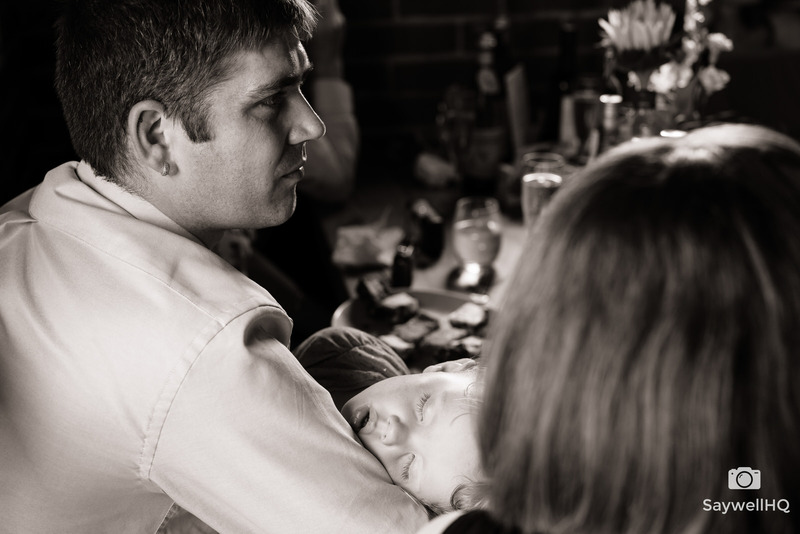 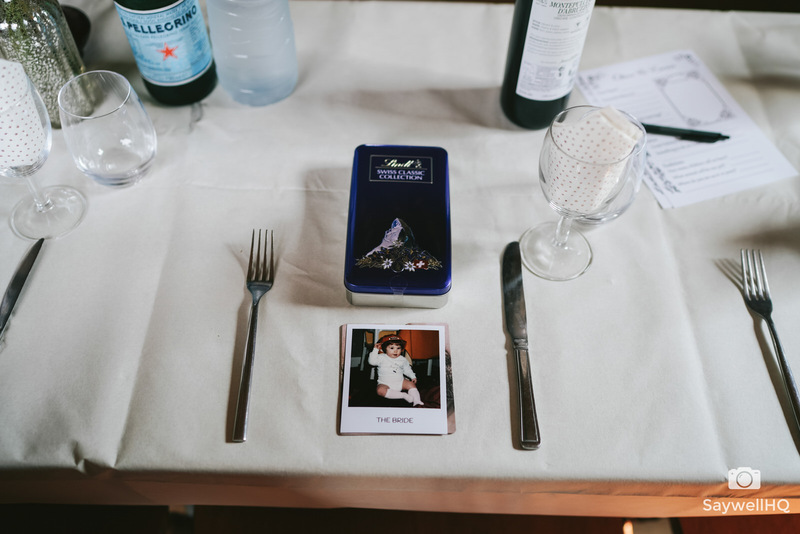 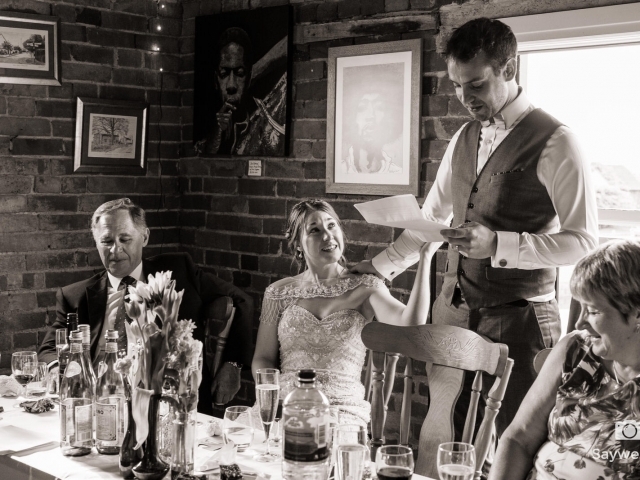 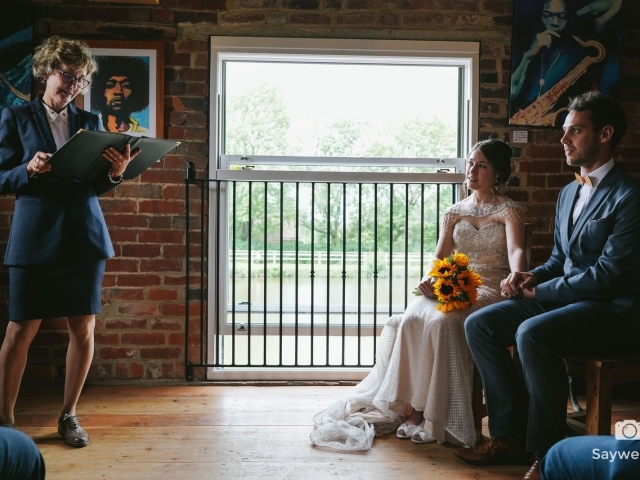 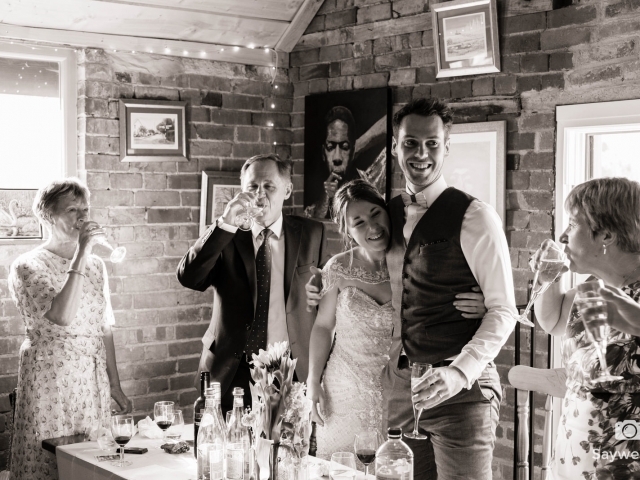 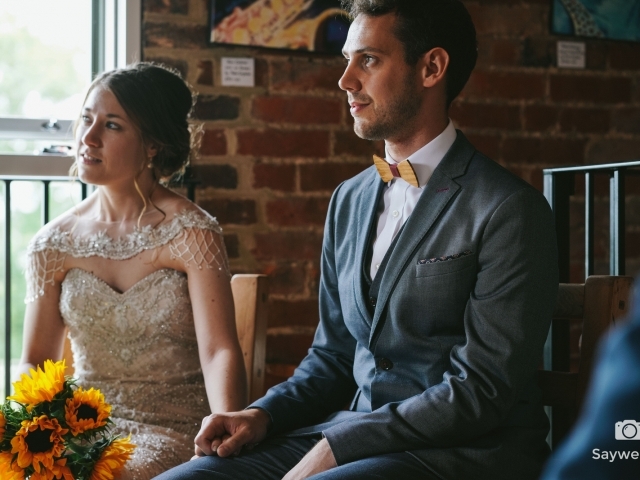 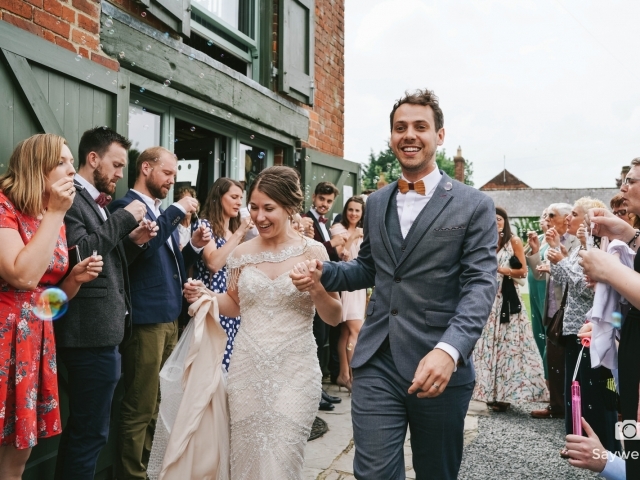 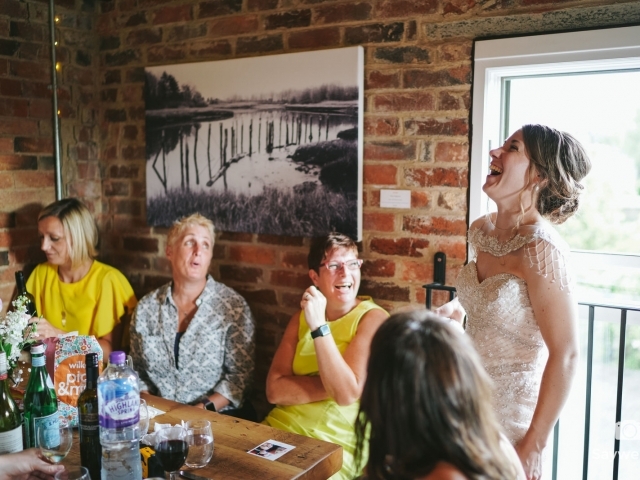 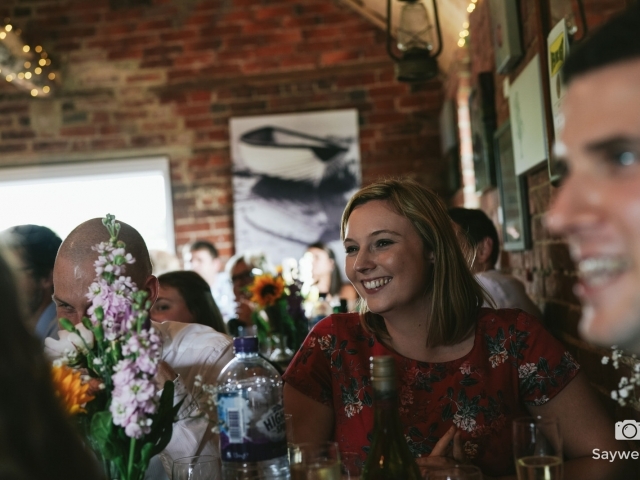 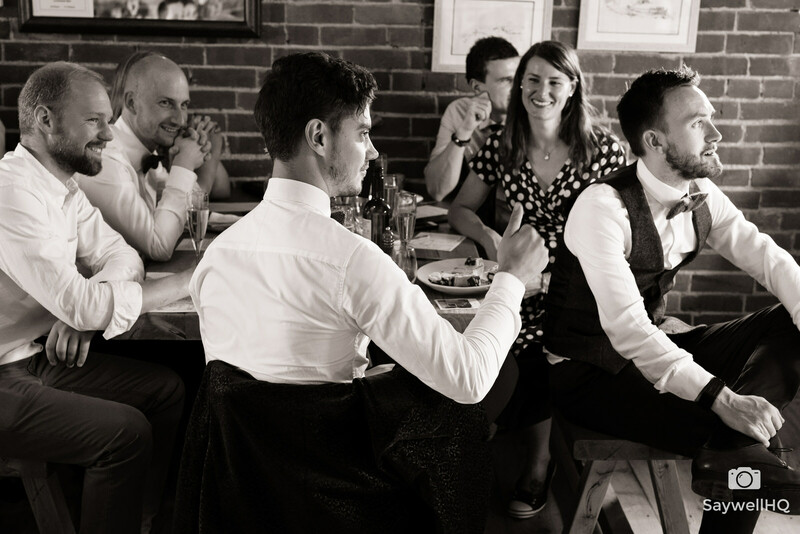 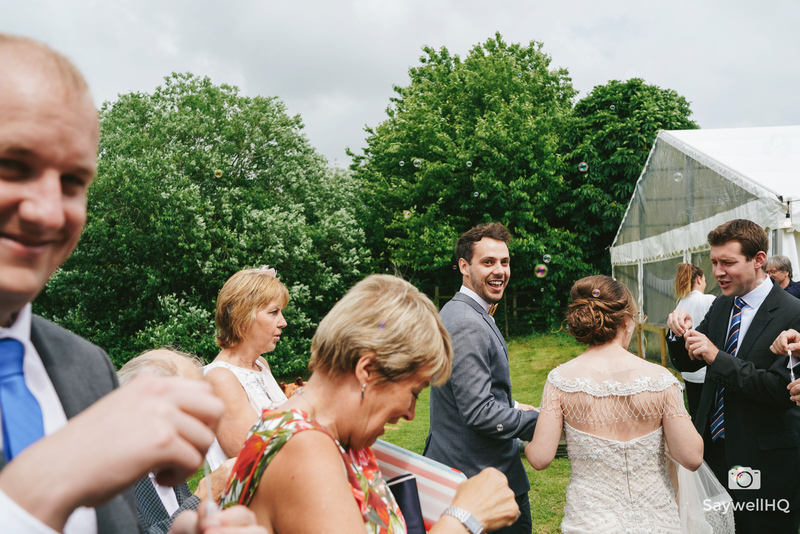 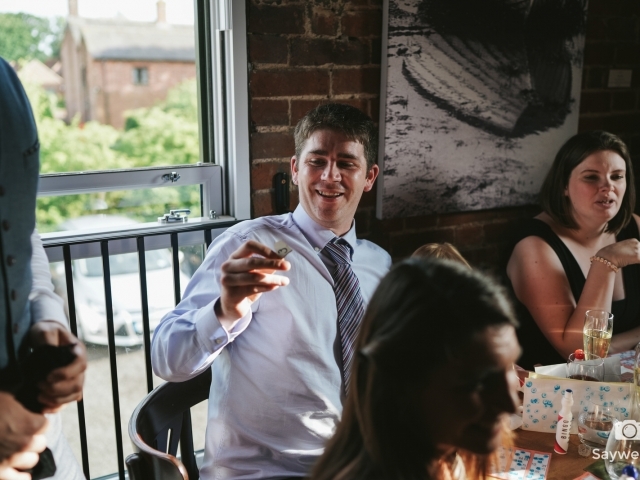 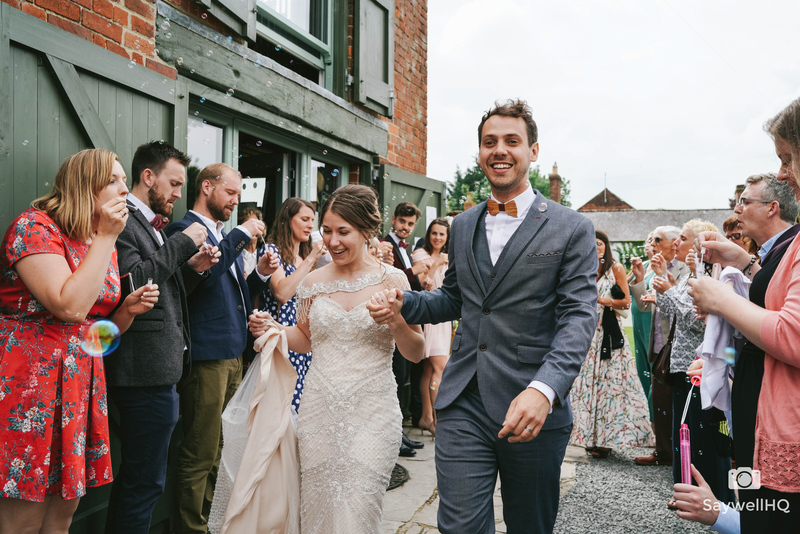 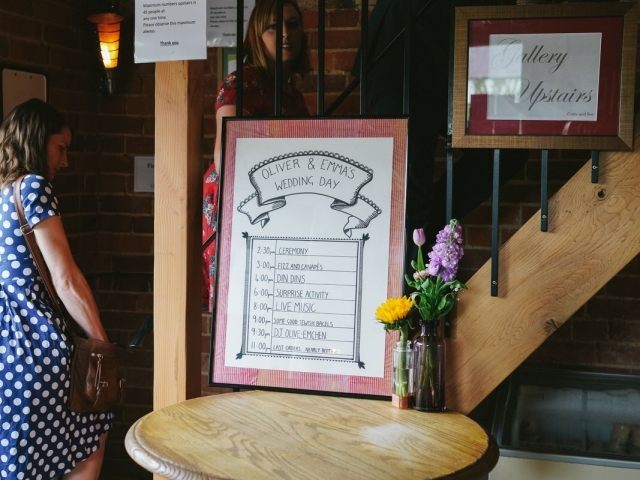 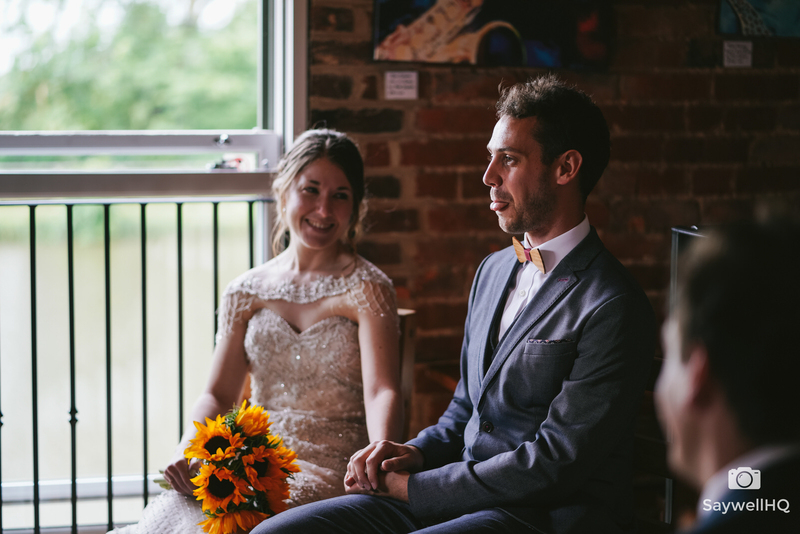 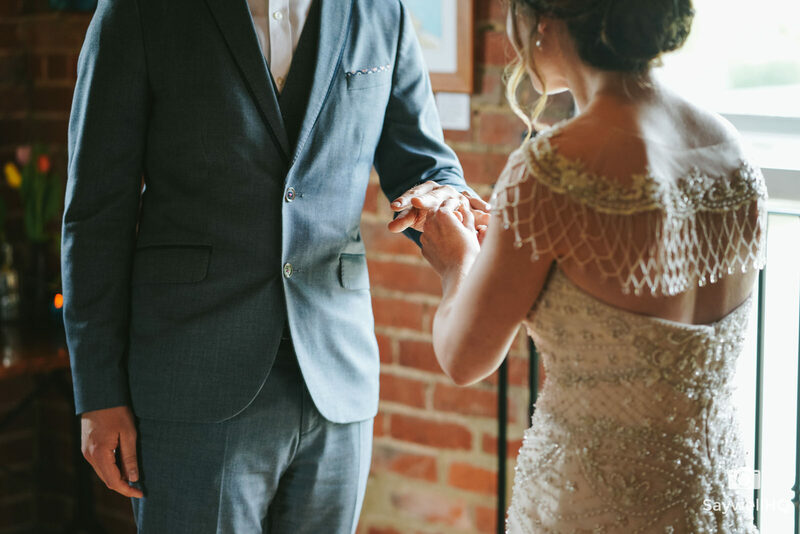 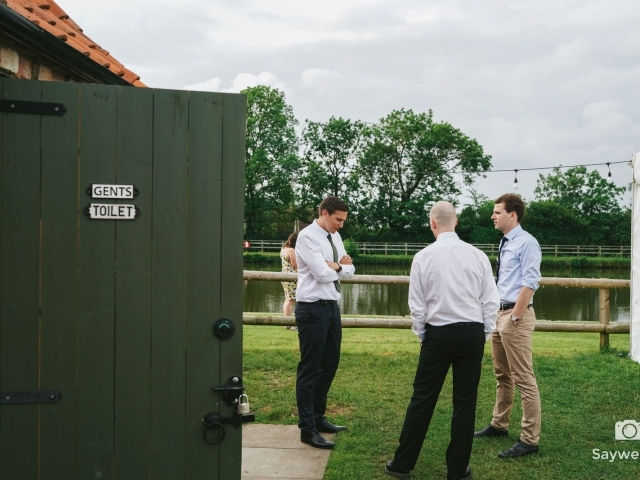 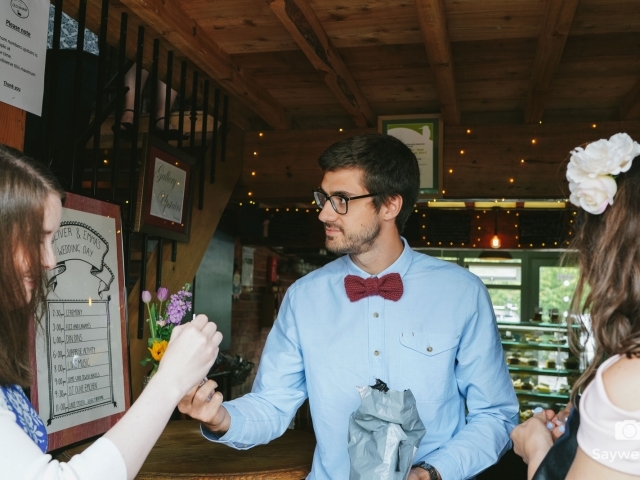 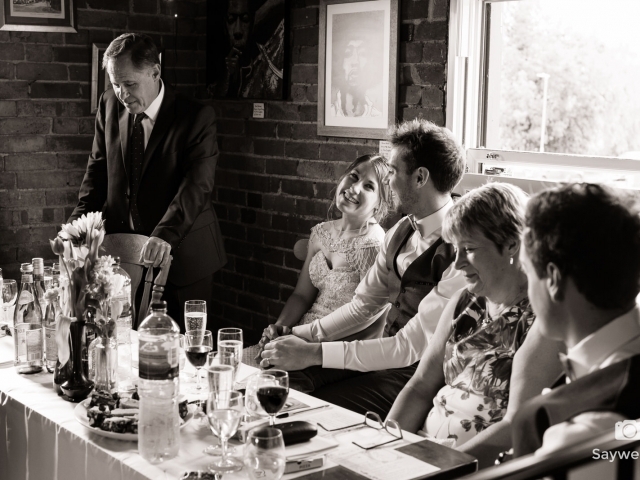 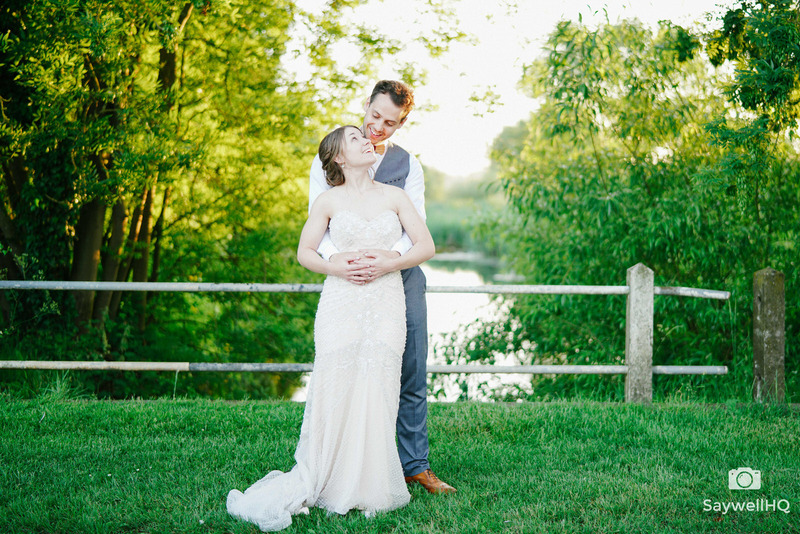 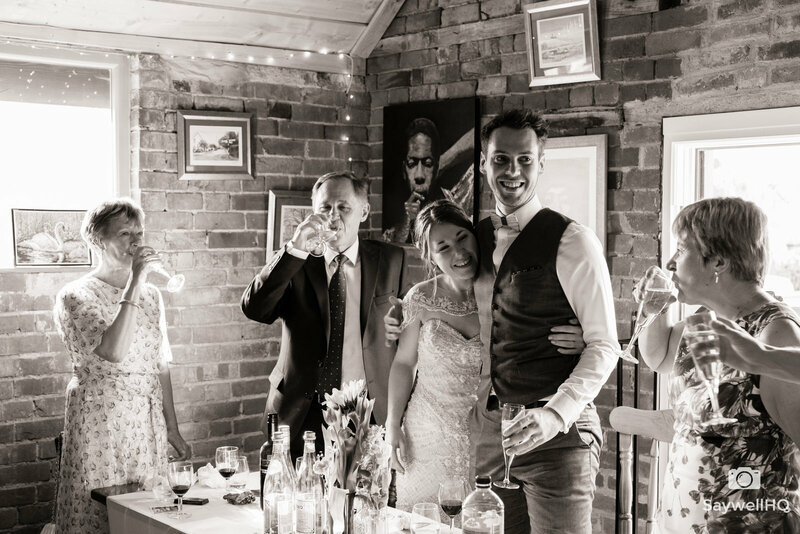 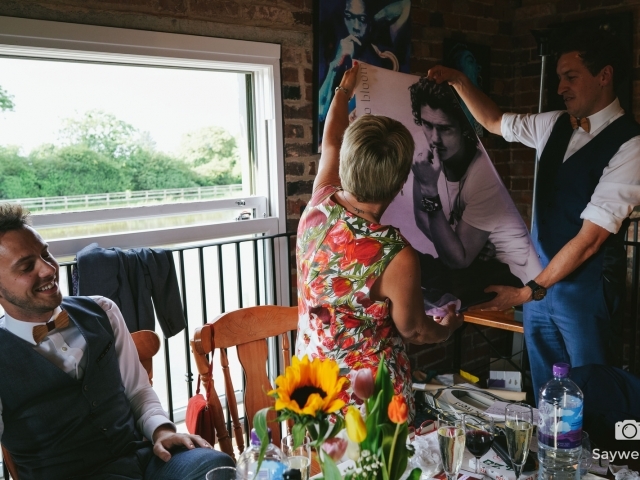 Emma and Oli were married at the Bridgford Hall in West Bridgford and celebrated with their family and friends with a Humanist ceremony at The Old Wharf Tearooms in Leicester. 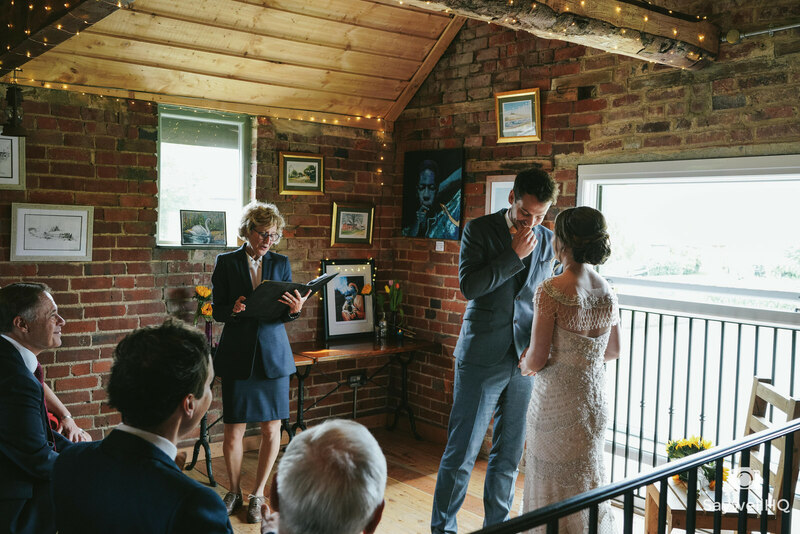 I’ve known Oli for several years and was really proud when he asked if I would be the photographer for his and Emma’s special day (actually two days). 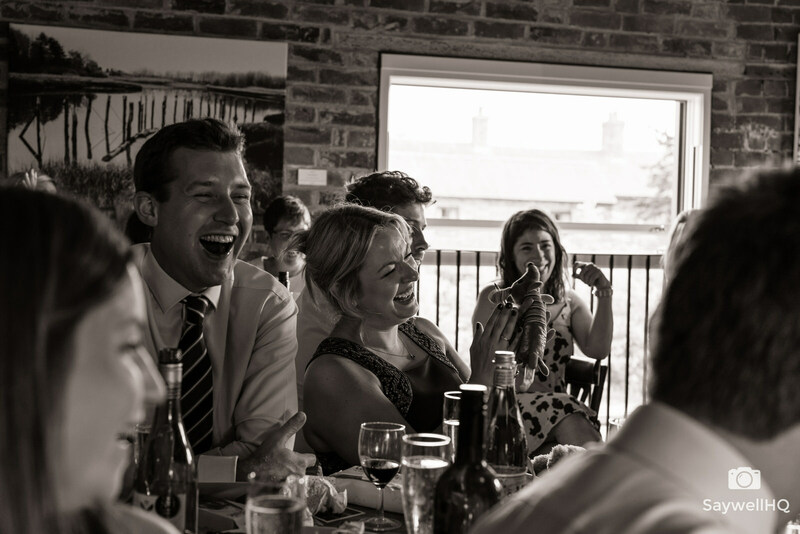 Emma and Oli were legally married in a small close family and friend’s ceremony at the Bridgford Hall in West Bridgford; its not often that I photograph the legal ceremony when I have been booked to do the Humanist ceremony the day after, but as with all my wedding couples – no two weddings are the same. 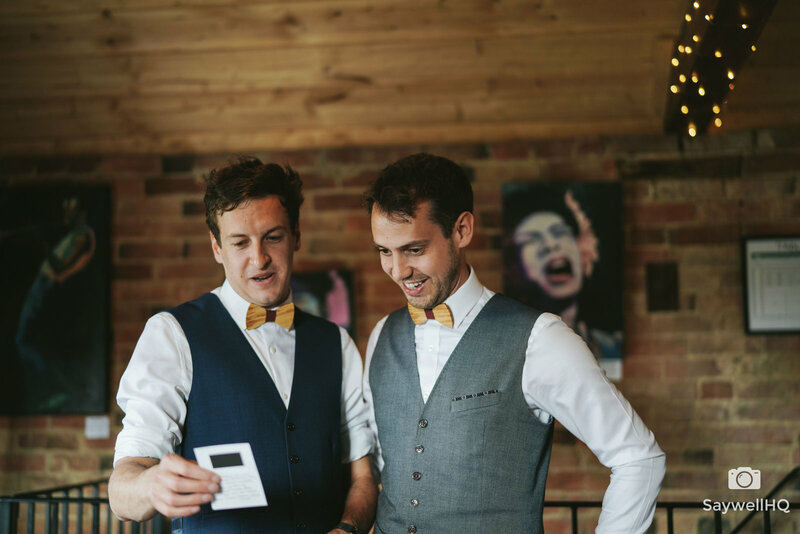 The legal ceremony was a quick one – just how the guys wanted, no fuss, no rings – just the legal bits and bobs out the way ready for the celebration the following day. 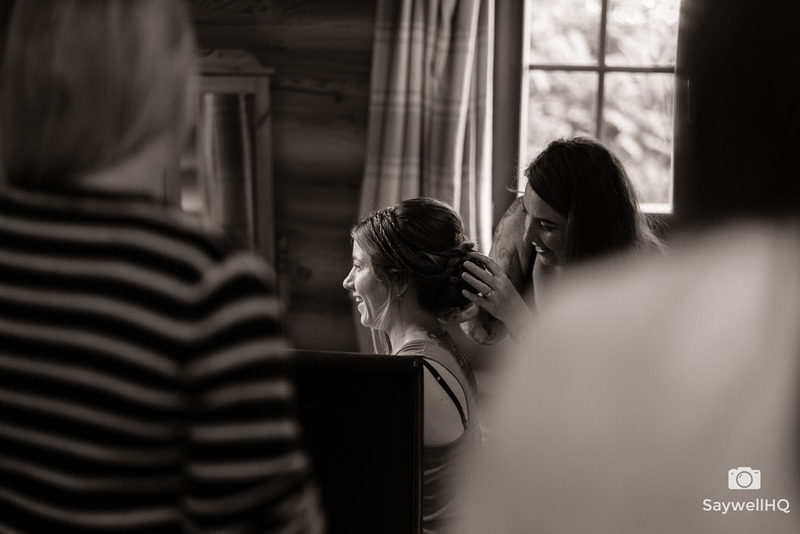 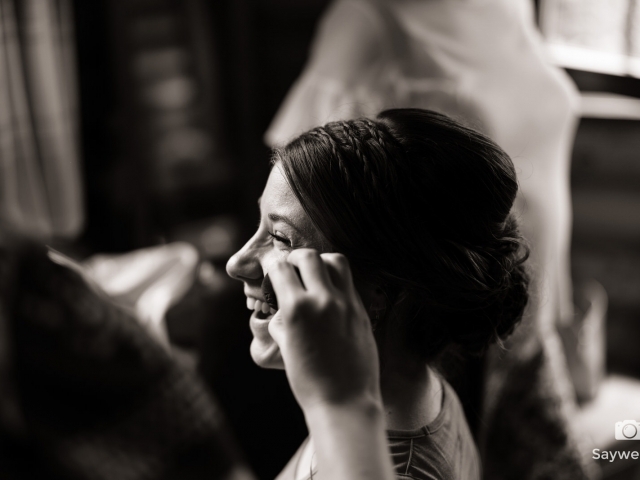 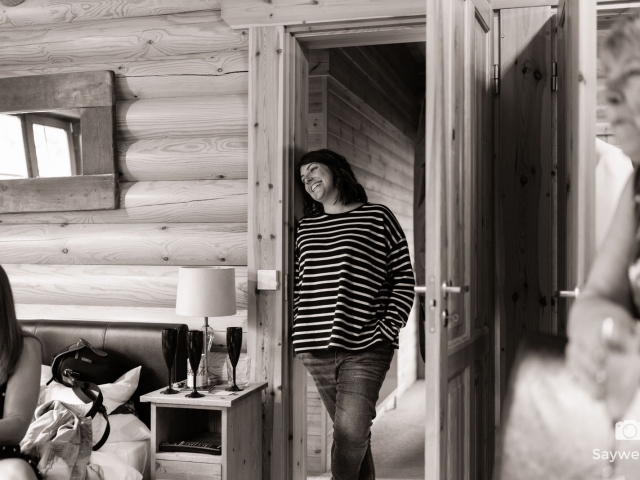 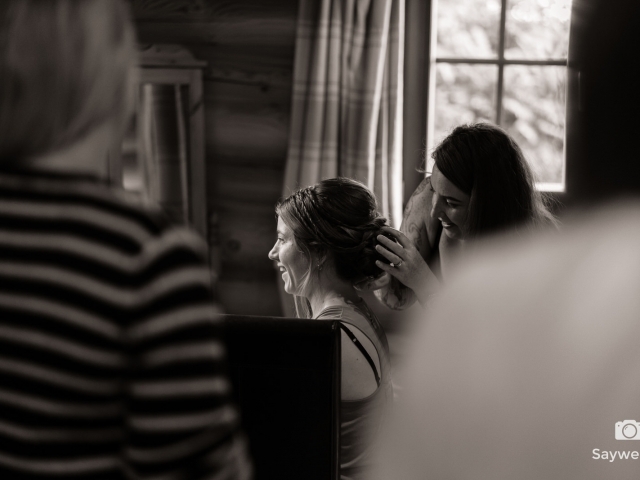 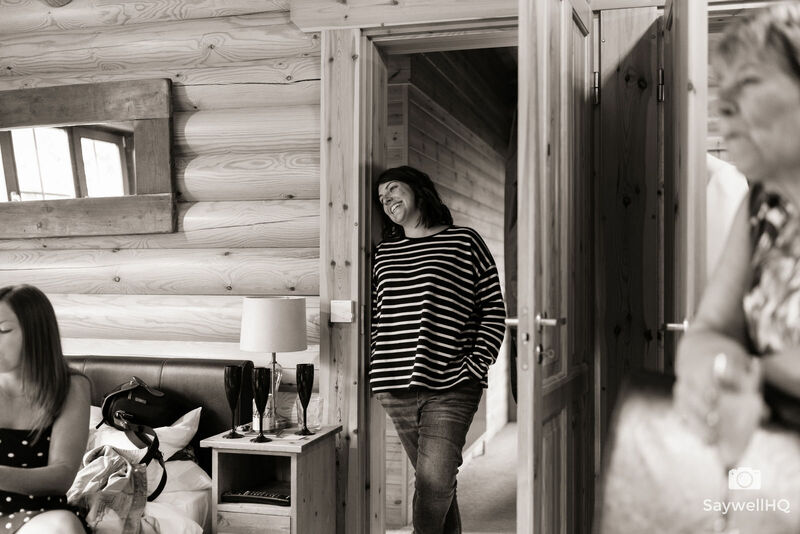 The second day started with me arriving at the Rowan lodge at Eye Kettleby Lakes, where Emma was getting ready. 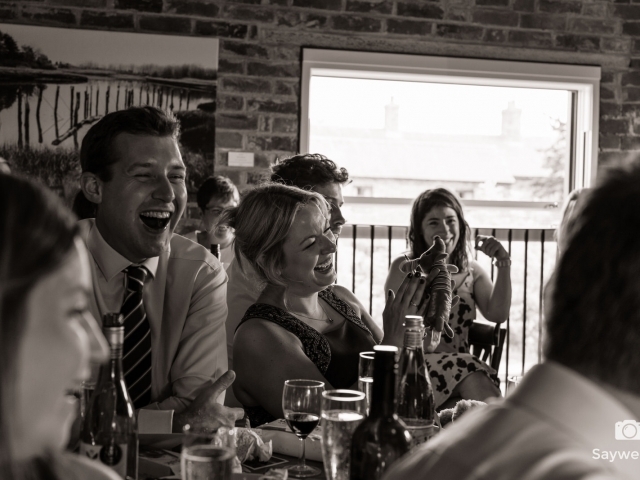 It wasn’t long before Emma was joined by members of her family and her close friends. 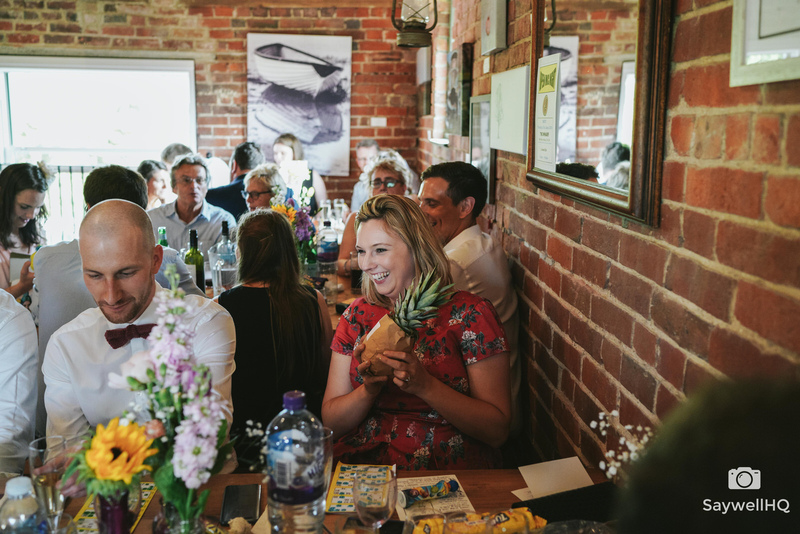 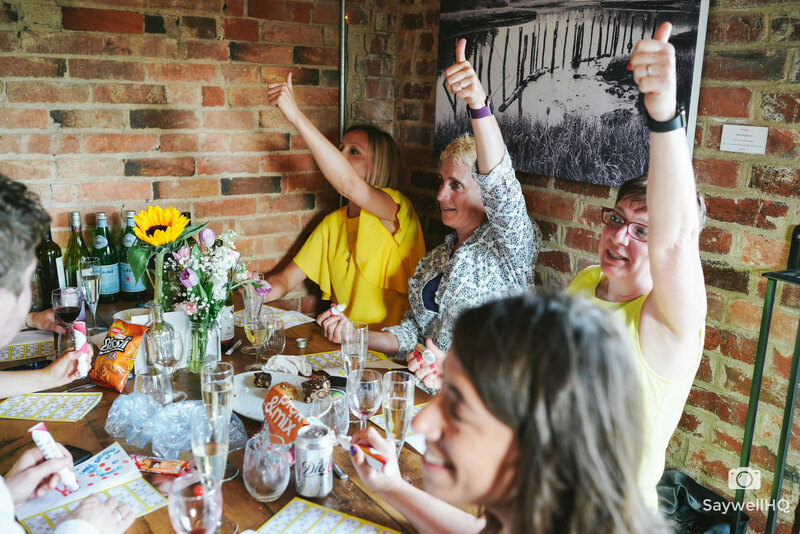 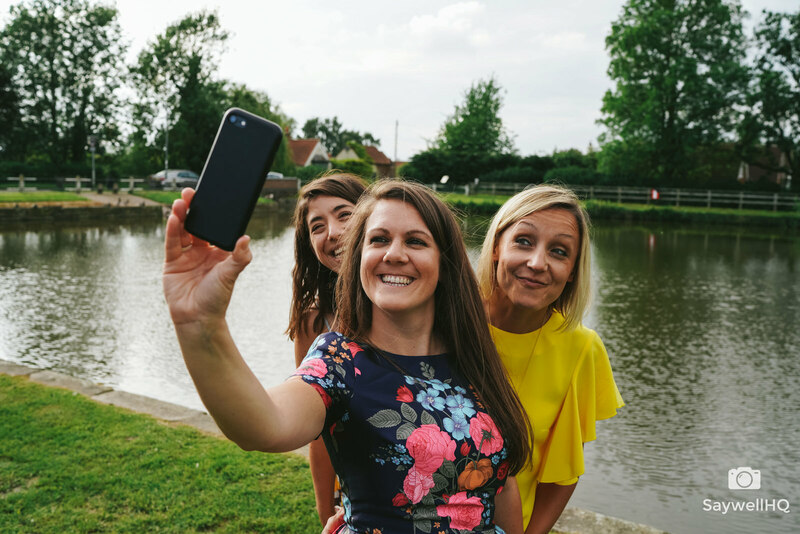 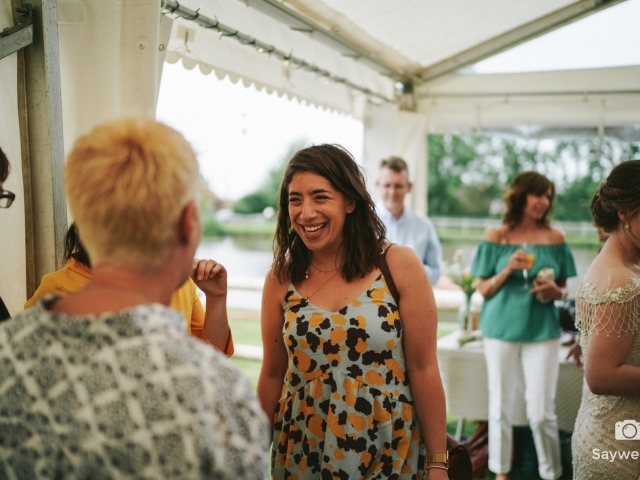 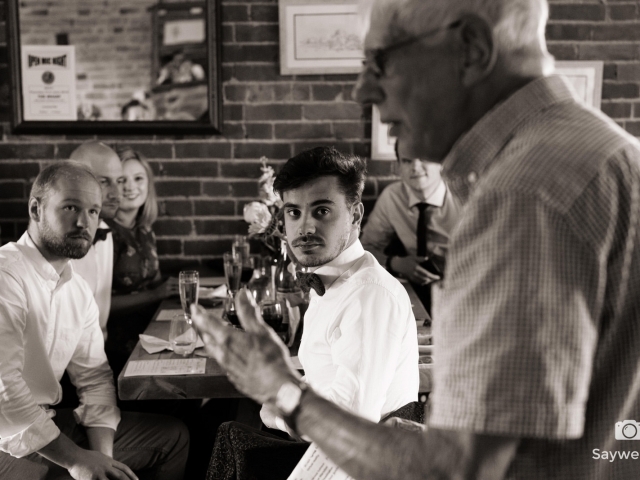 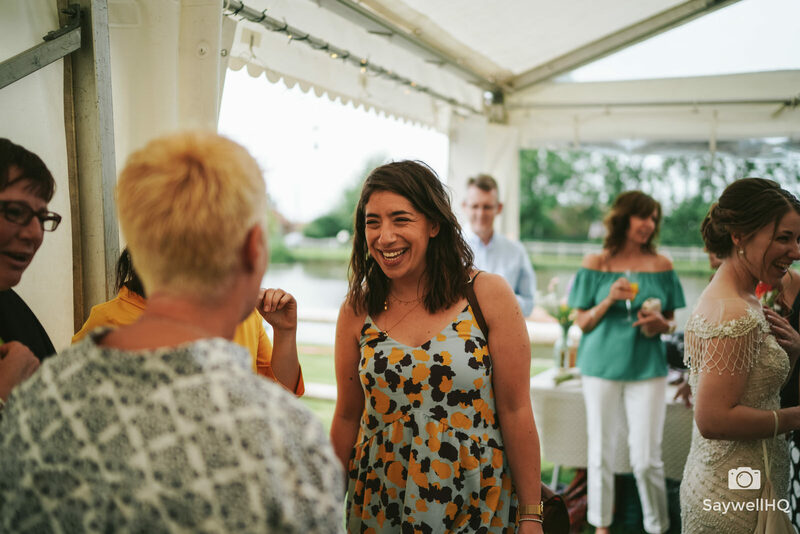 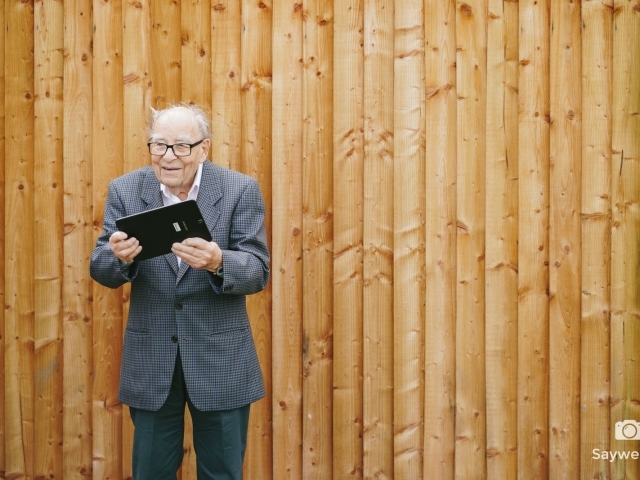 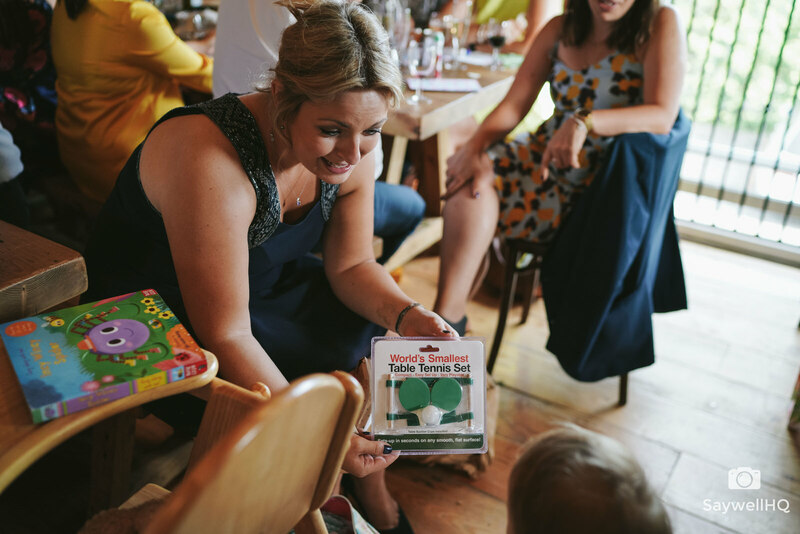 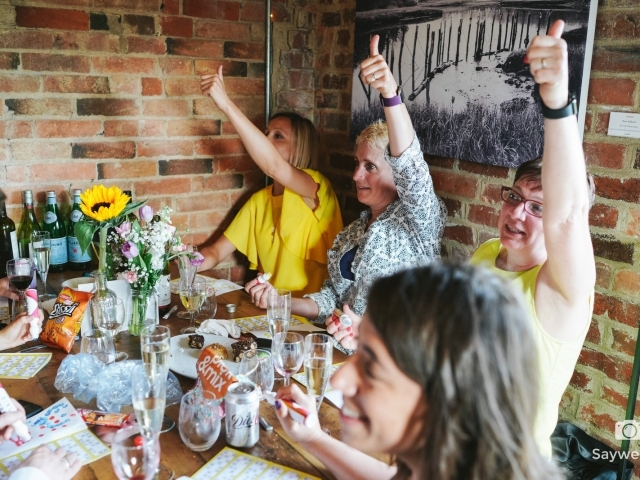 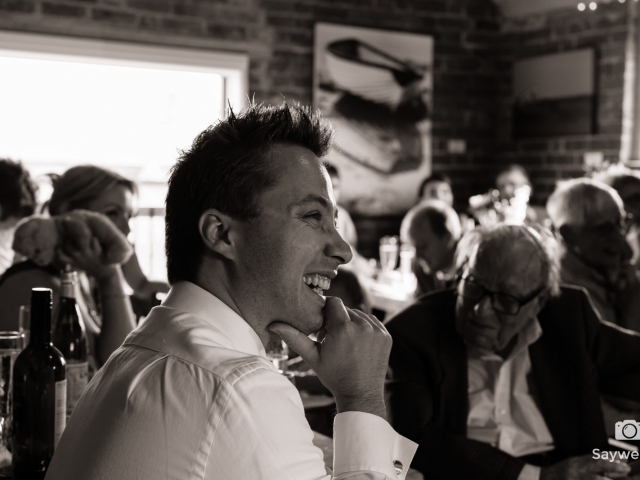 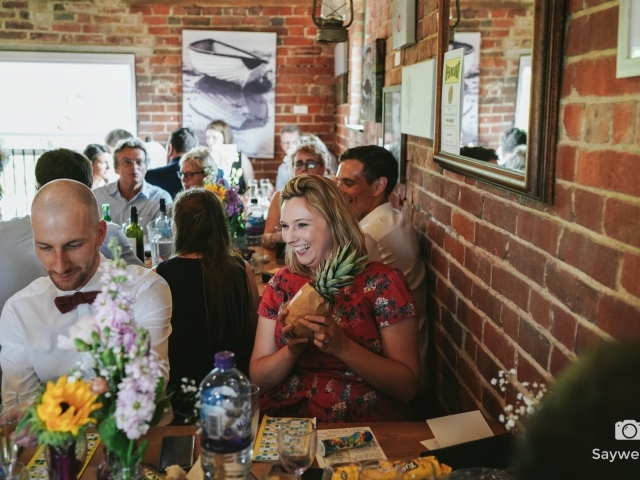 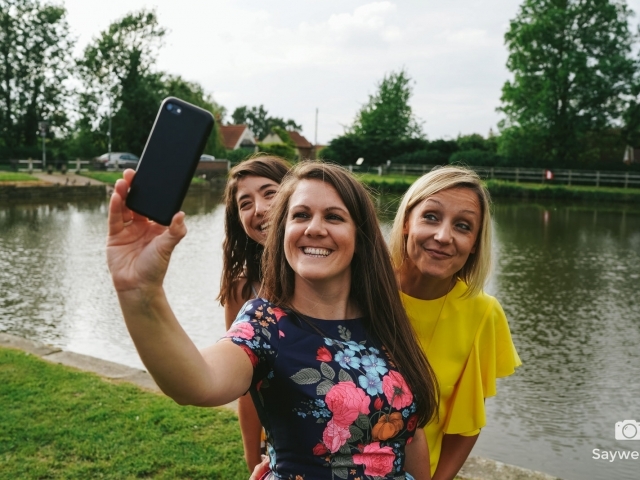 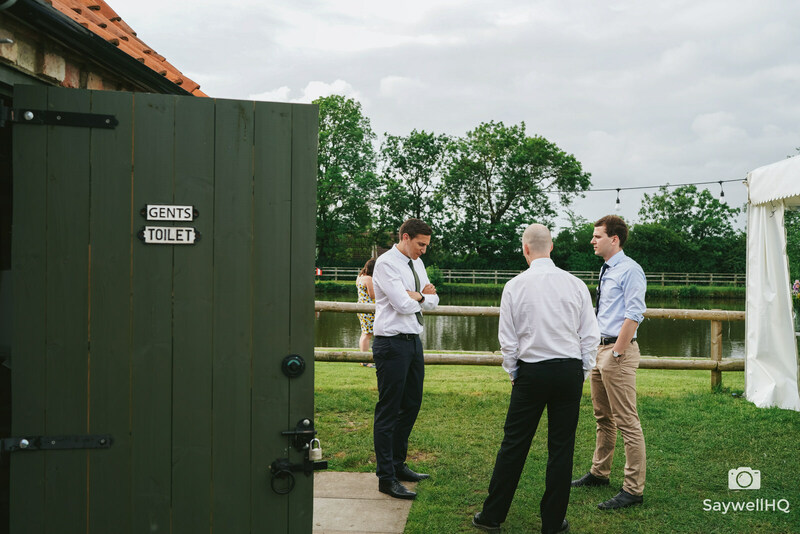 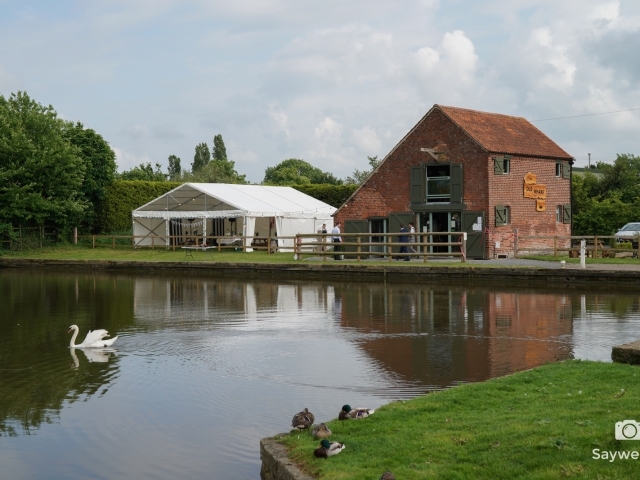 The morning was really relaxed with laughs, giggles, alcohol and chocolate croissants – and before too long it was off to The Old Wharf Tearooms. 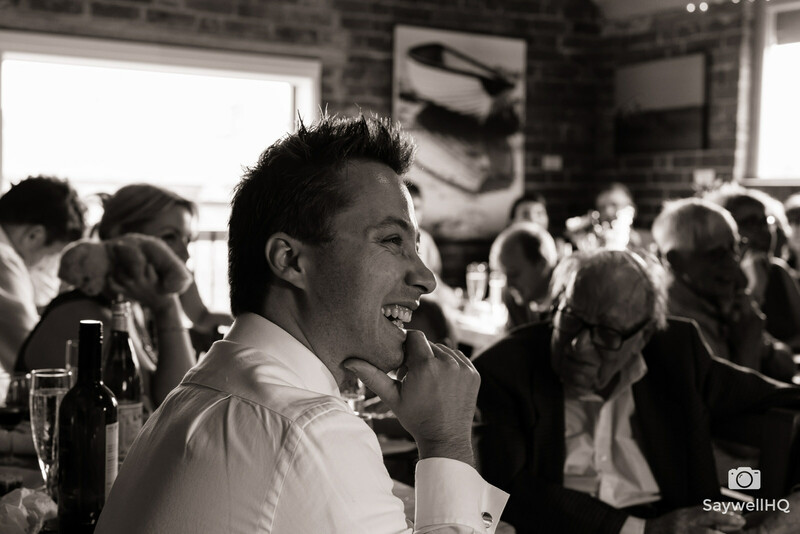 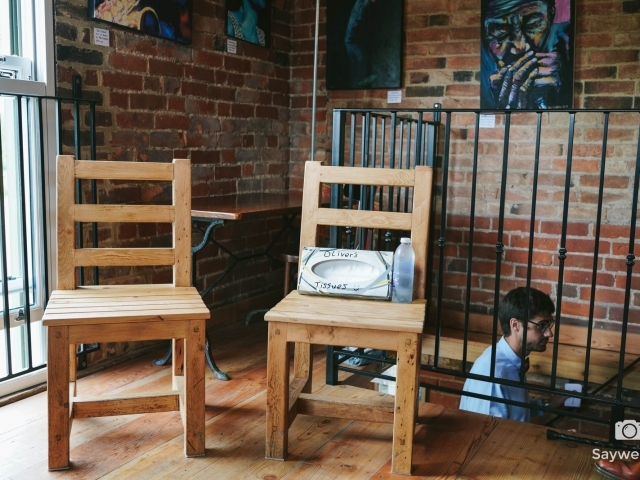 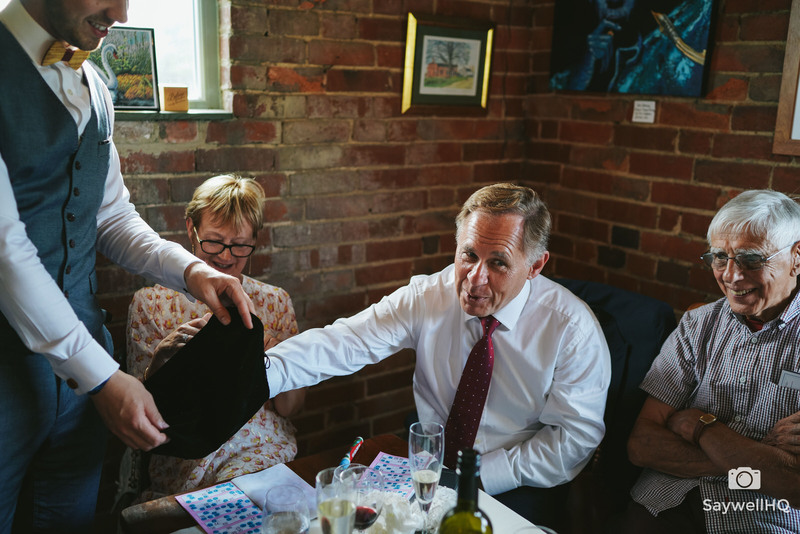 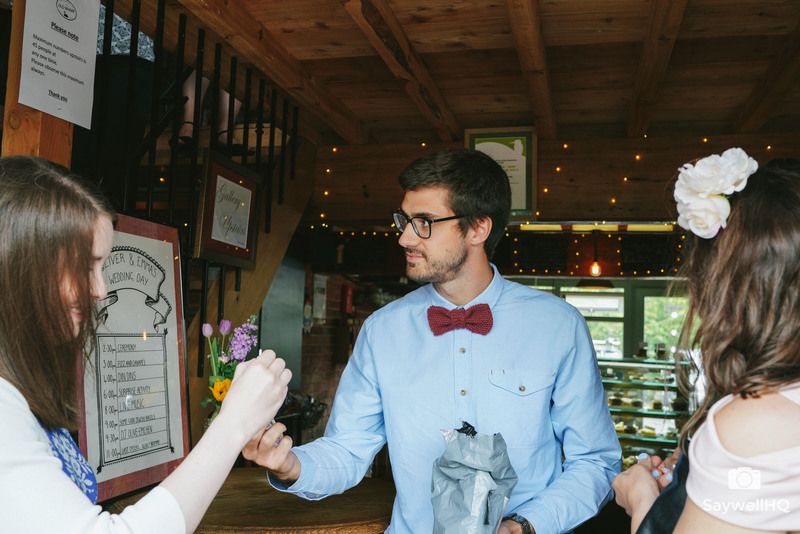 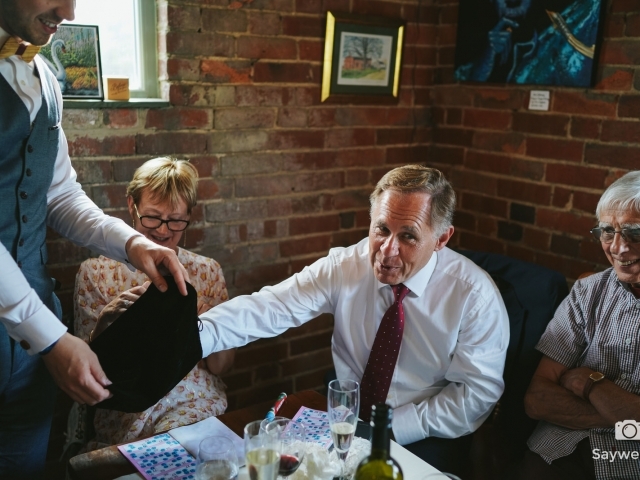 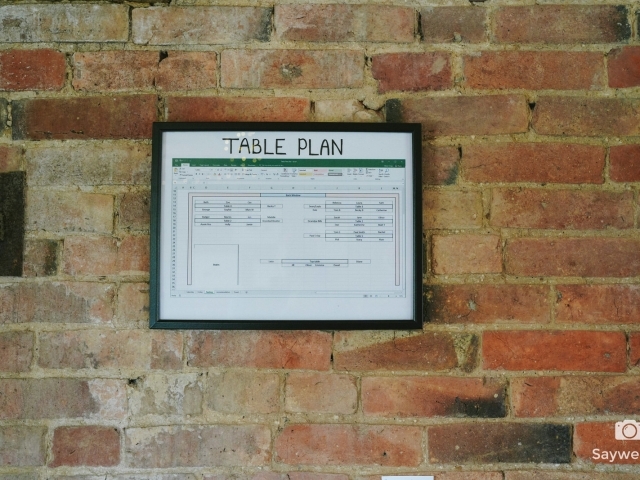 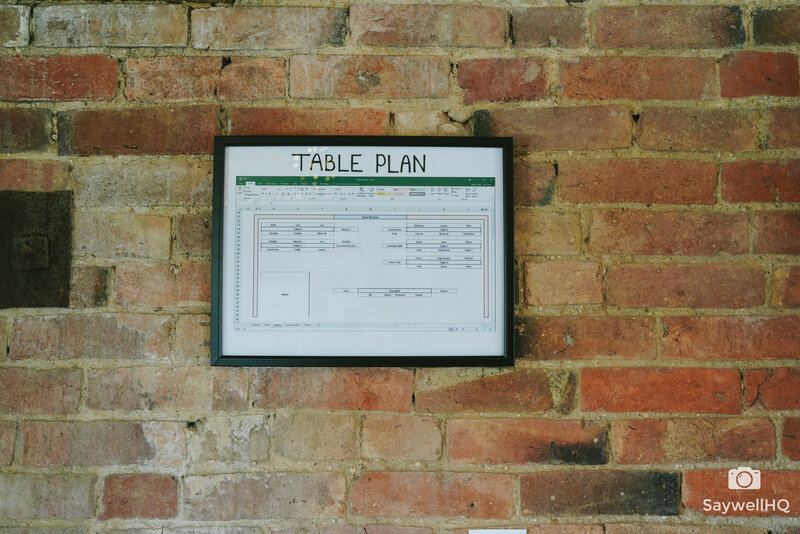 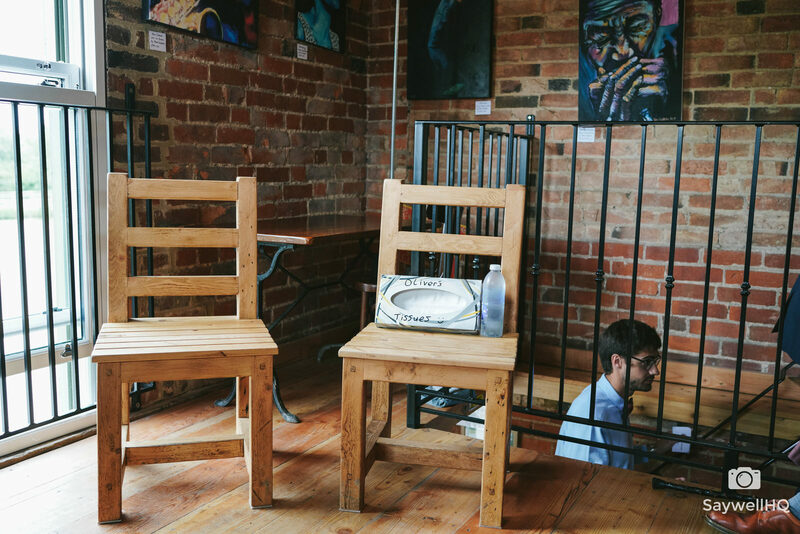 When I got to The Old Wharf Tearooms I was amazed to see how much work had gone into making the place their own for the day – the venue was amazing and there was a great vibe about the place. 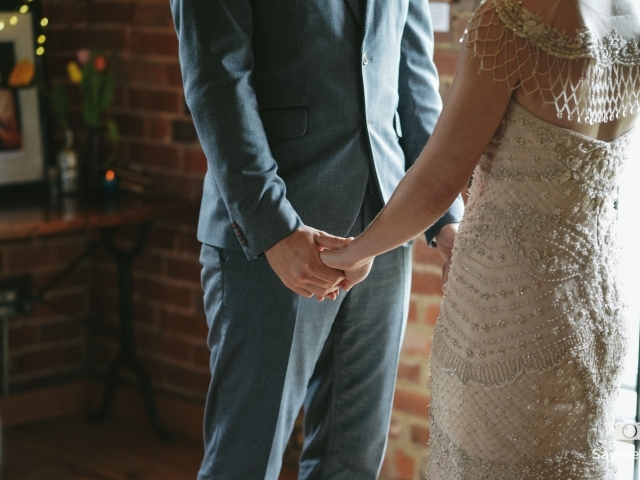 The Humanist ceremony was a beautiful one. 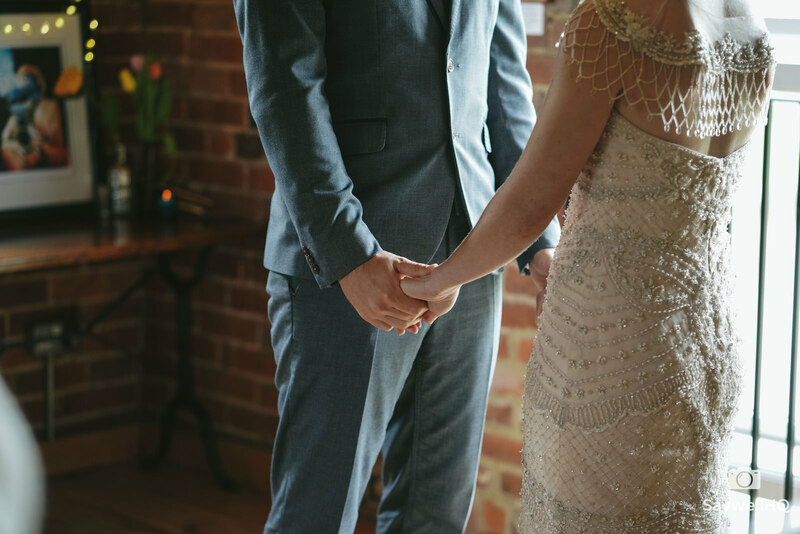 With a Humanist ceremony, you are free to talk and express your feelings in ways you are not able to do in a civil or religious ceremony. 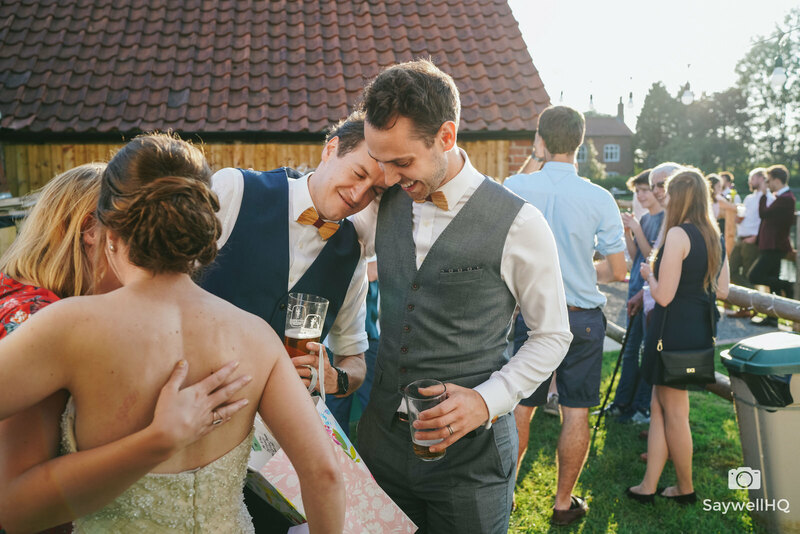 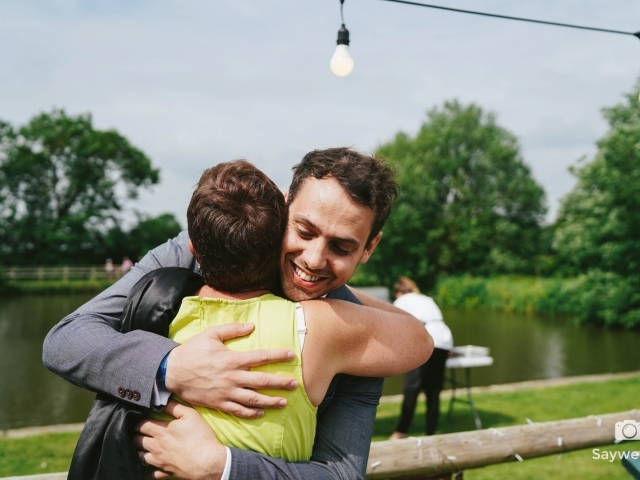 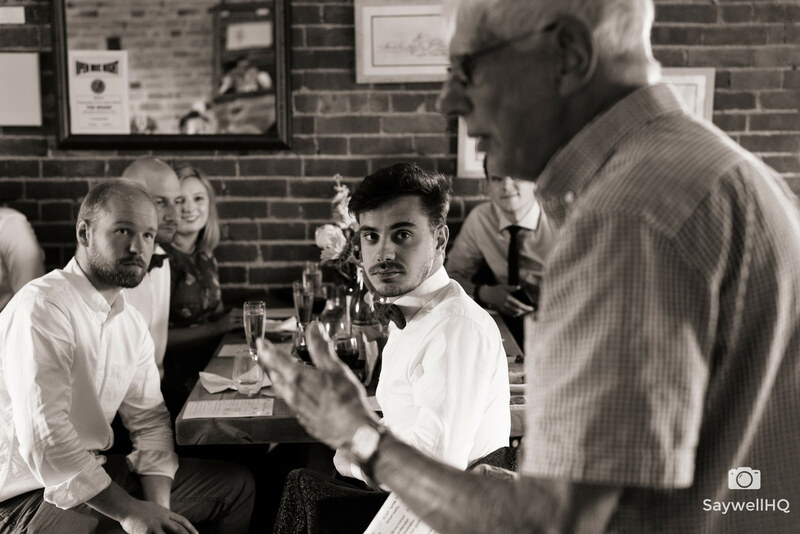 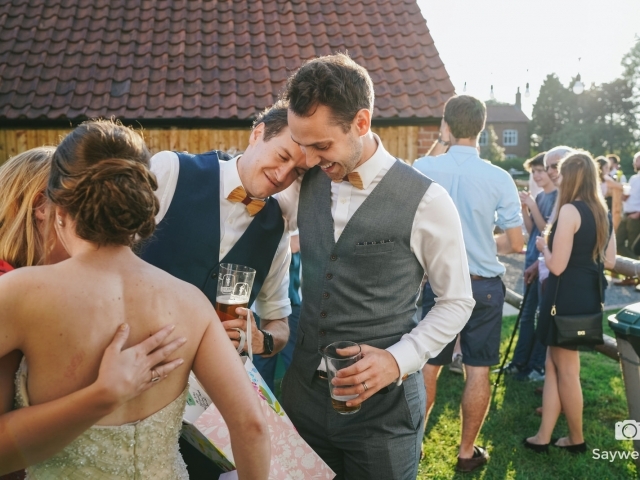 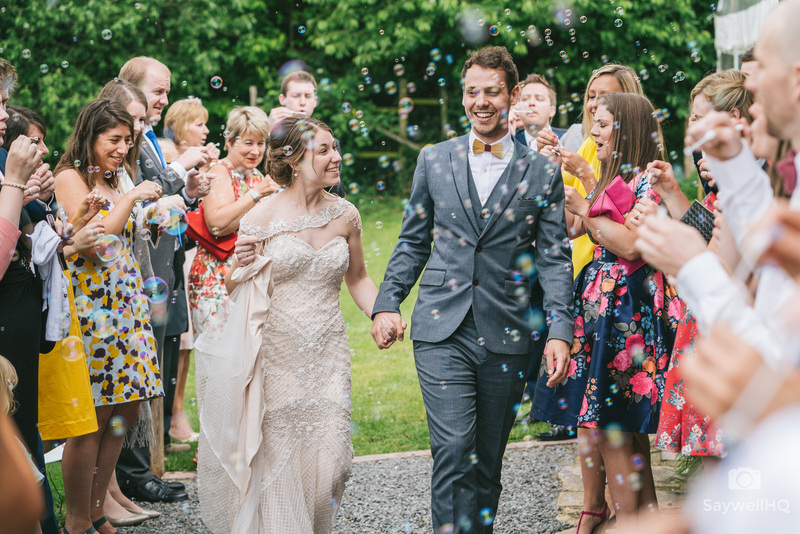 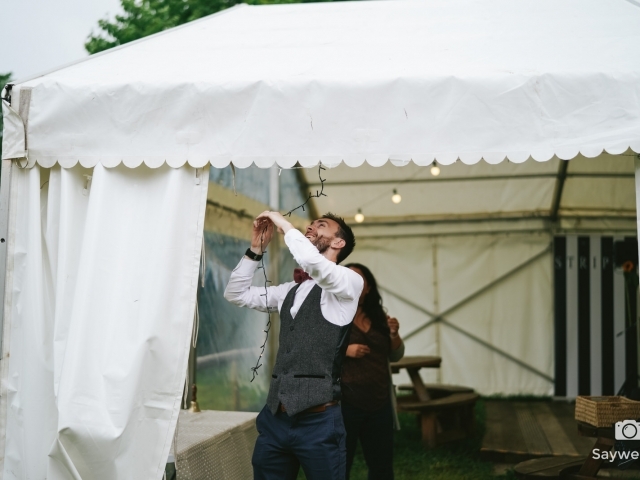 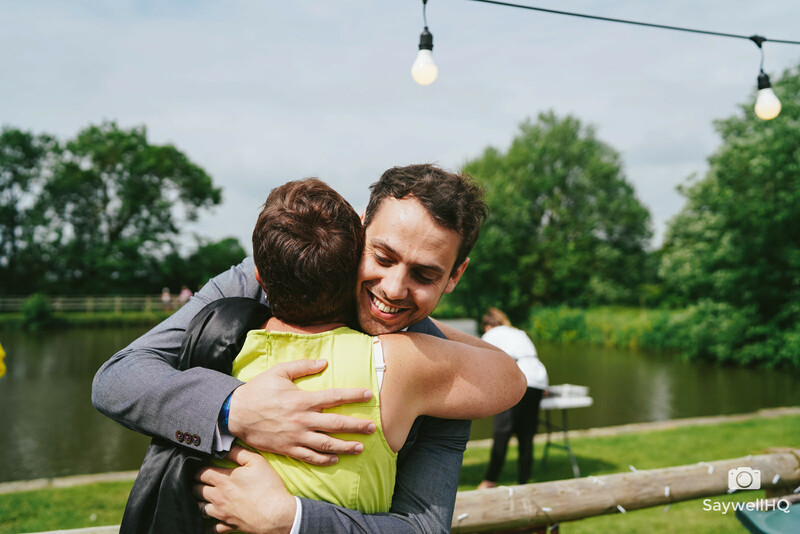 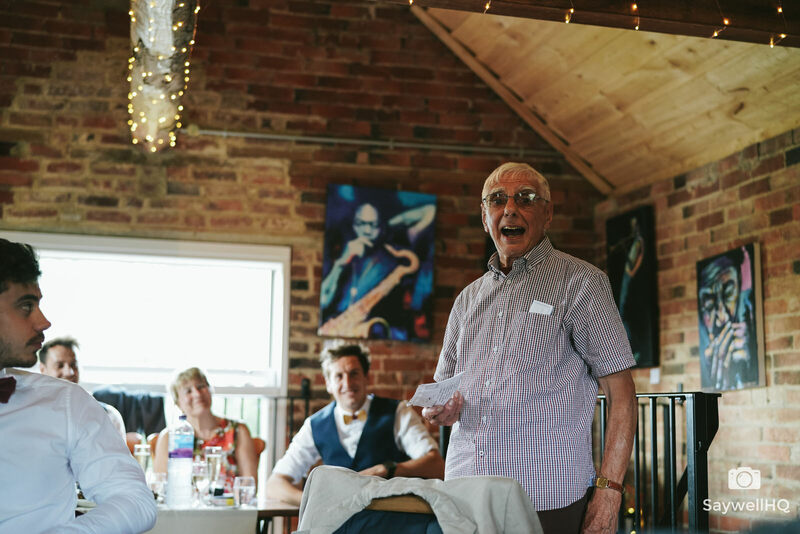 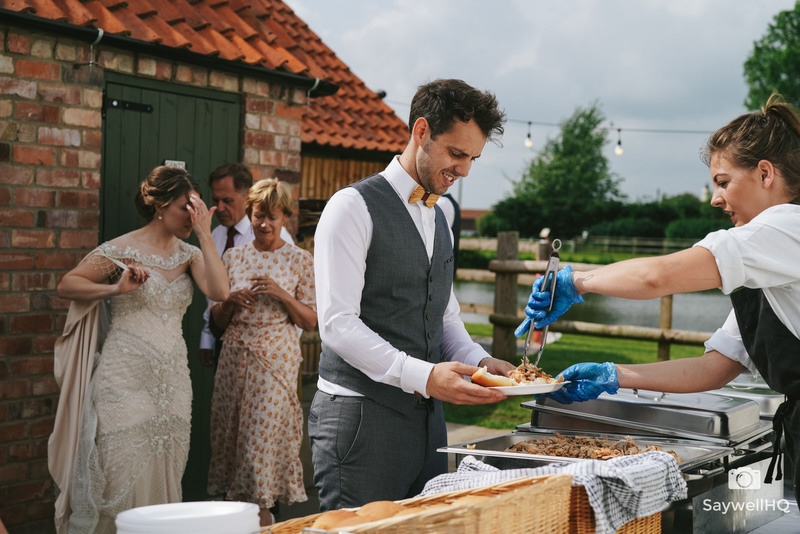 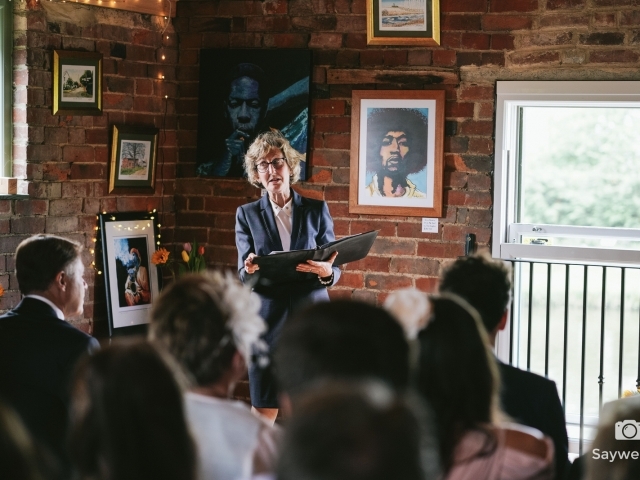 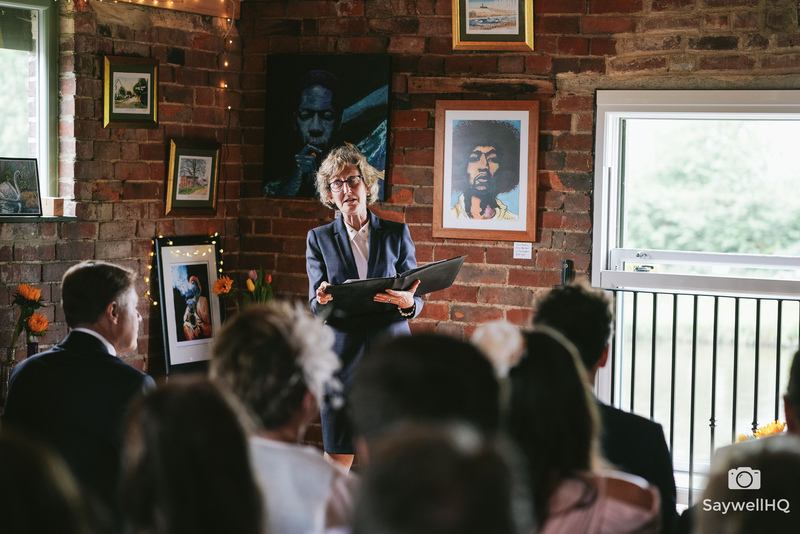 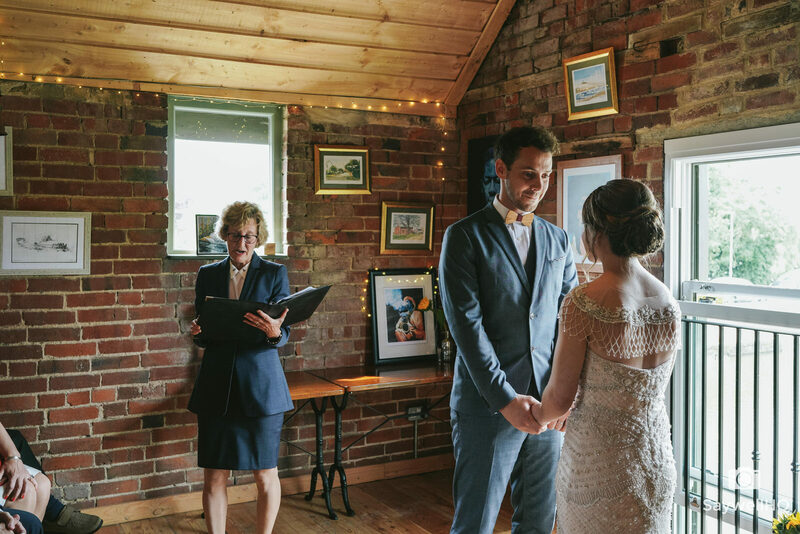 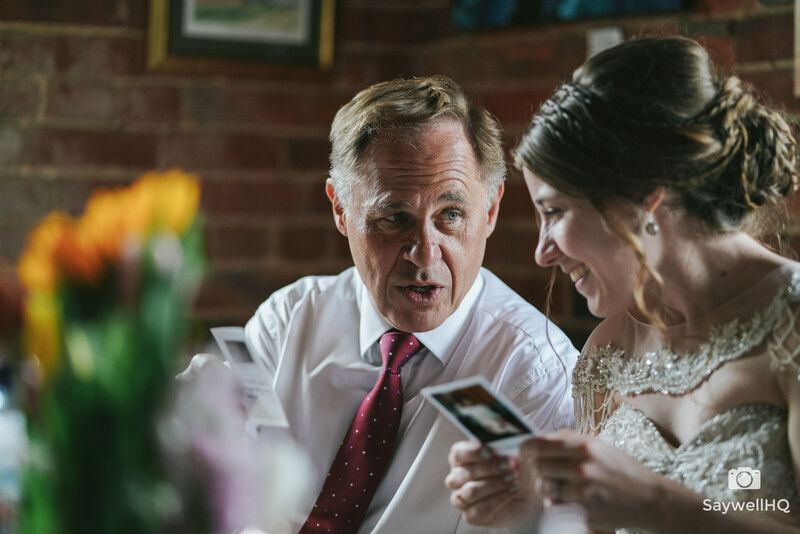 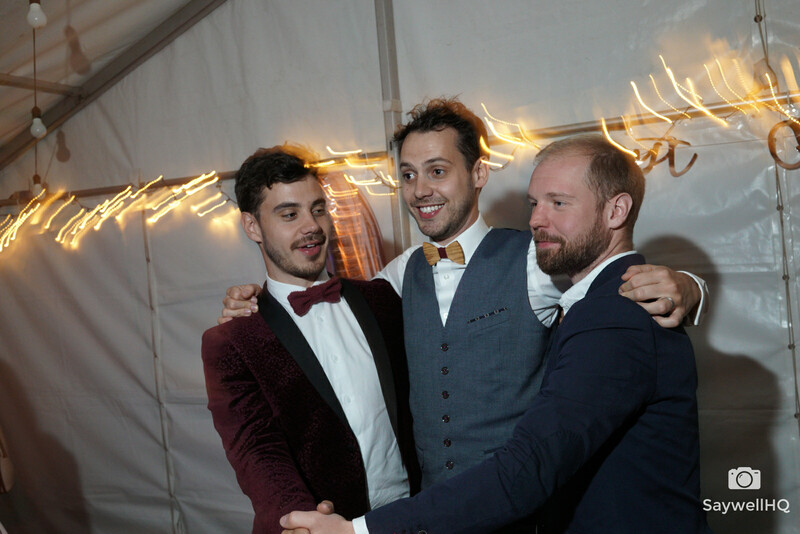 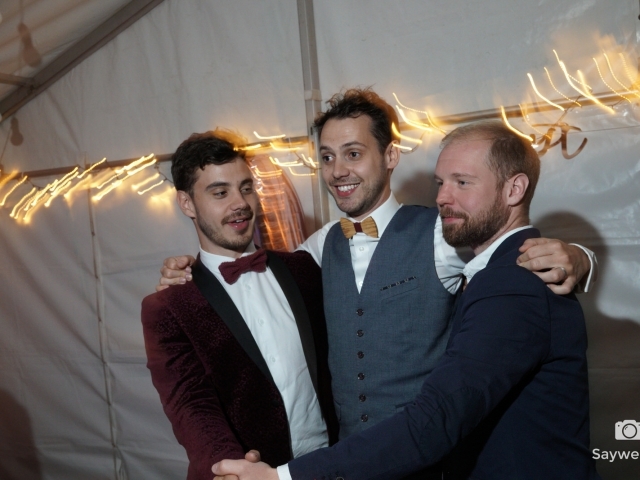 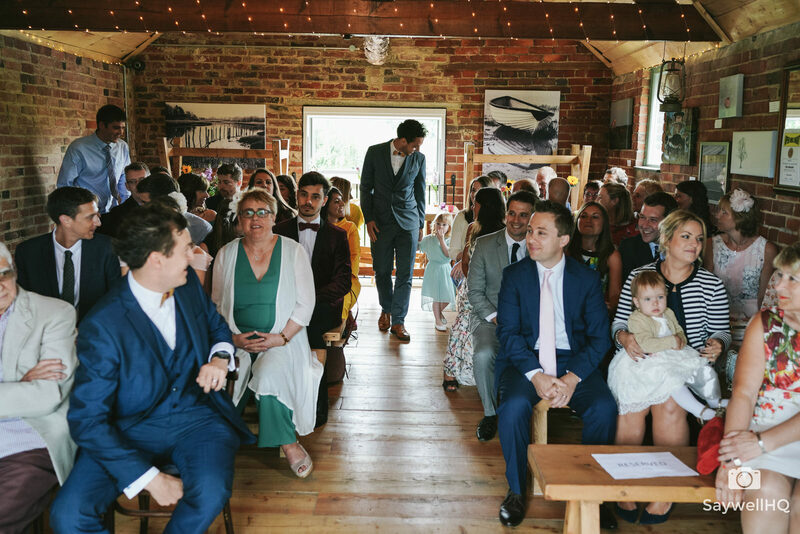 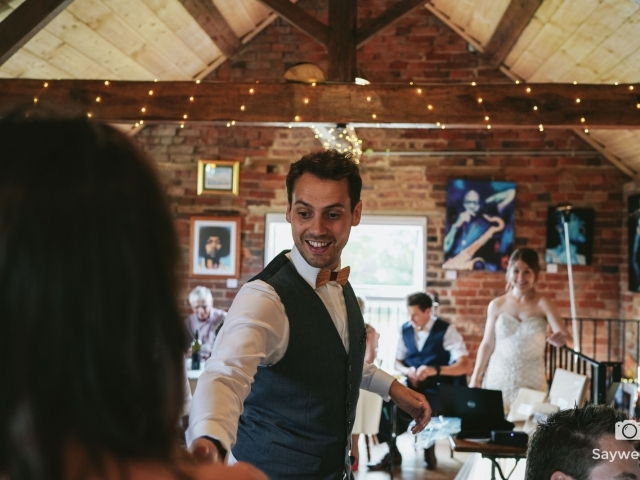 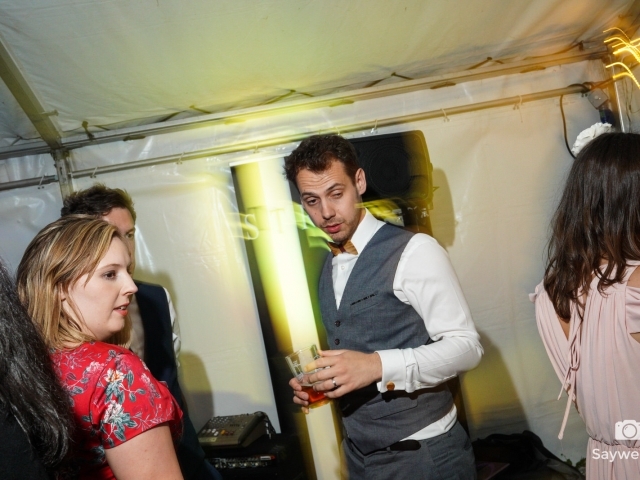 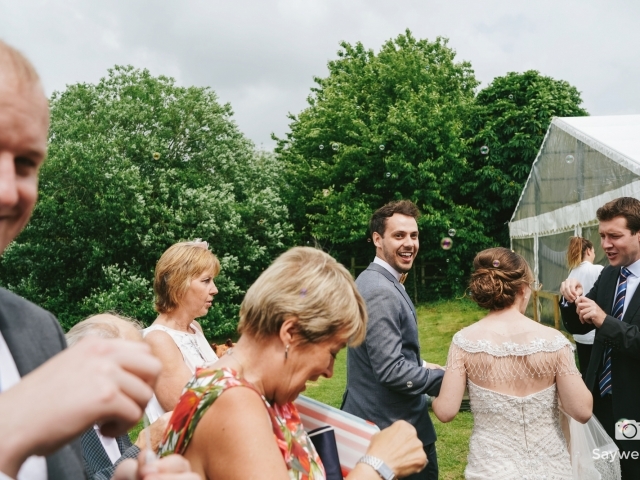 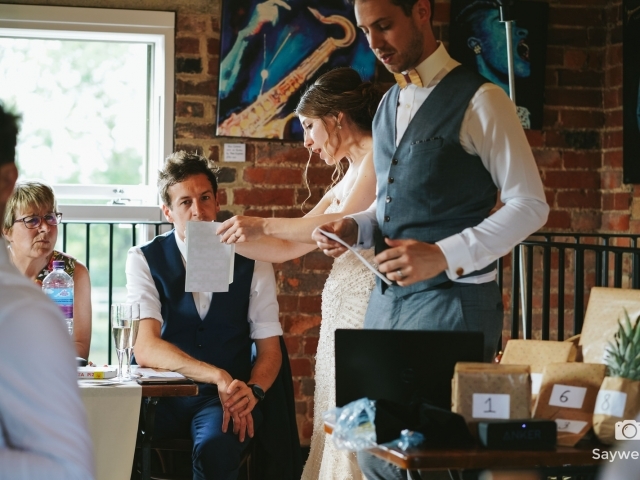 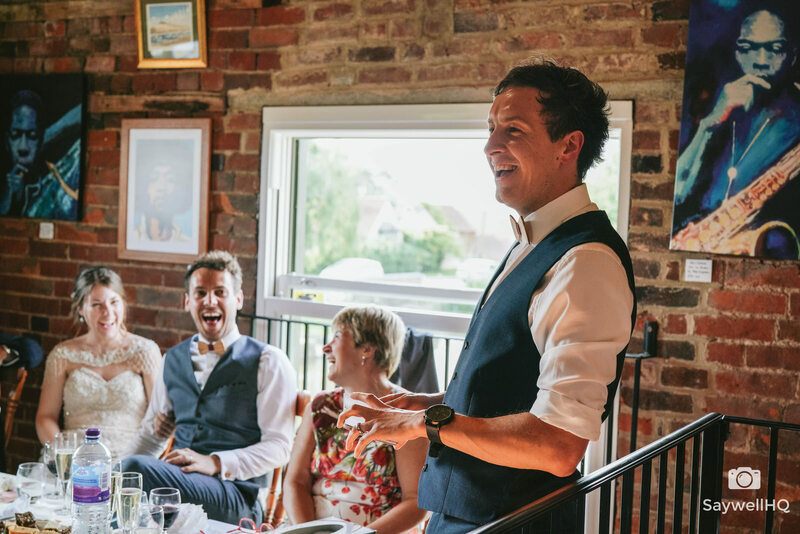 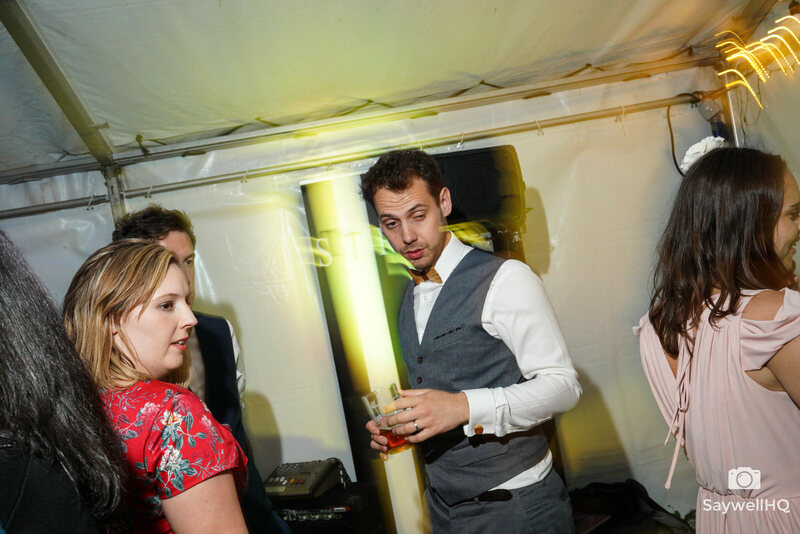 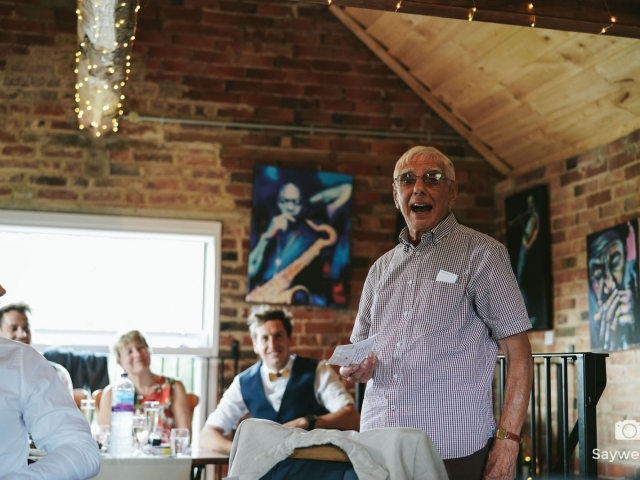 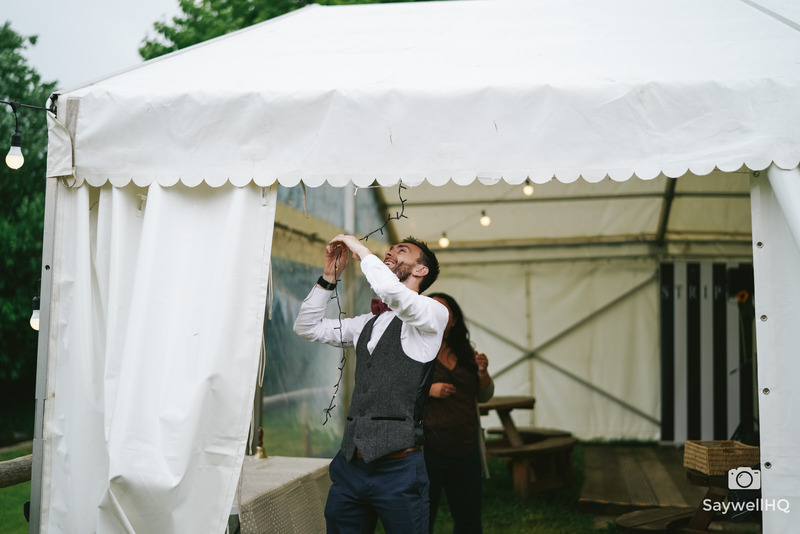 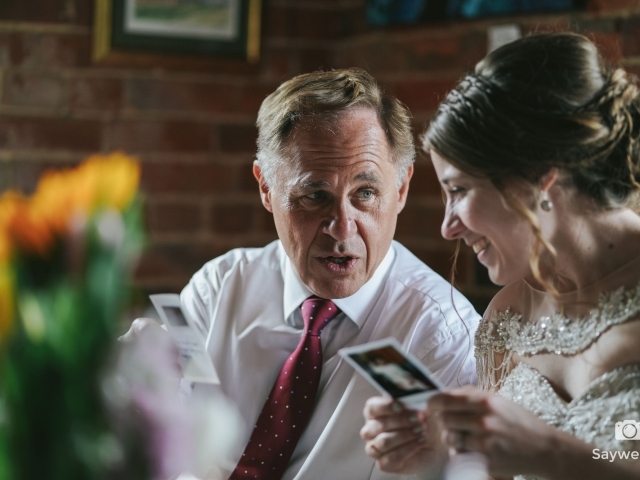 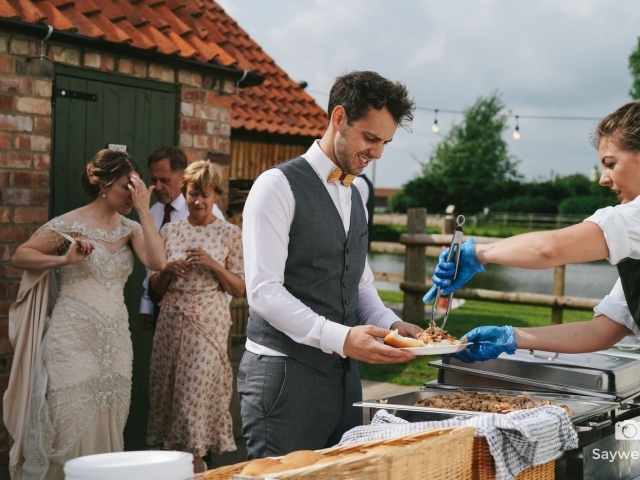 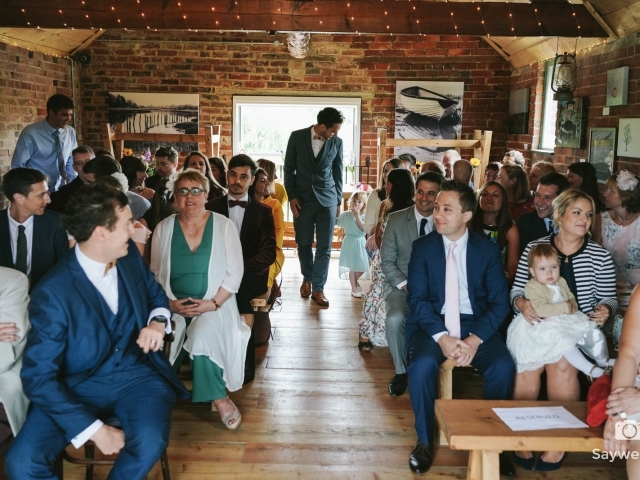 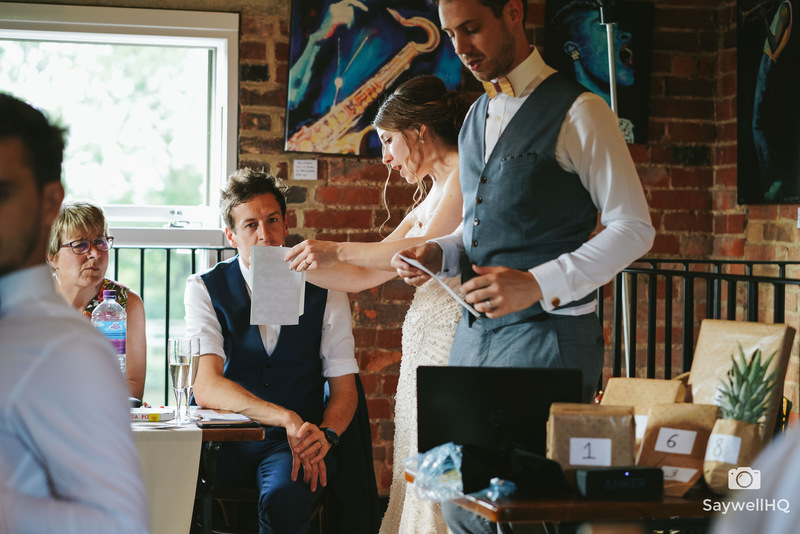 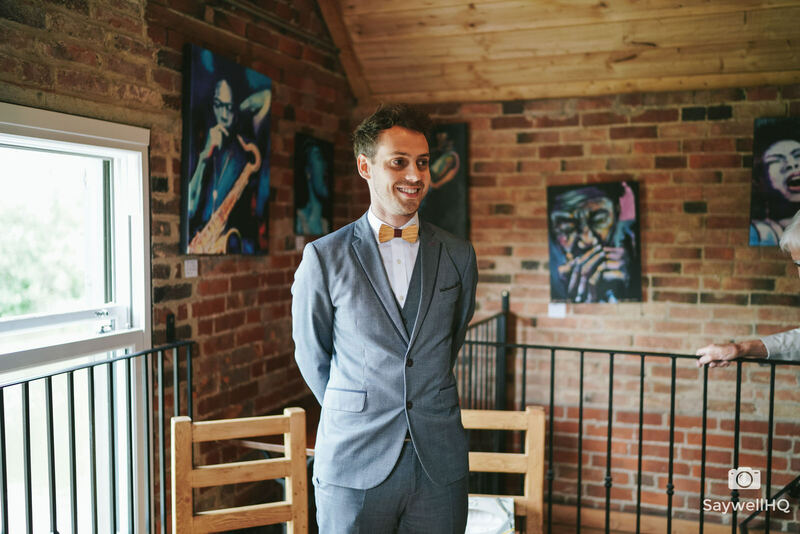 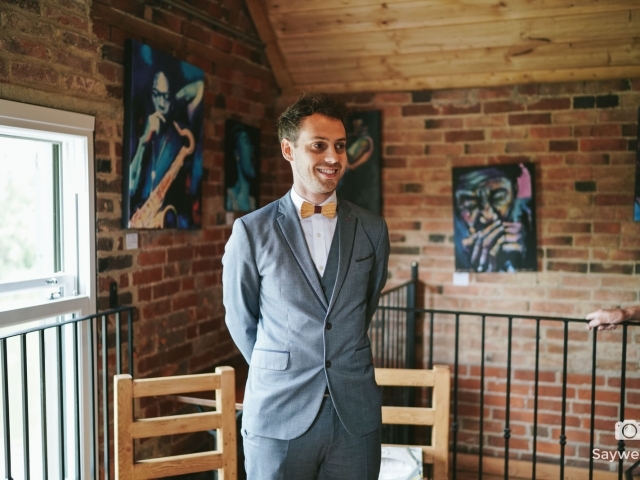 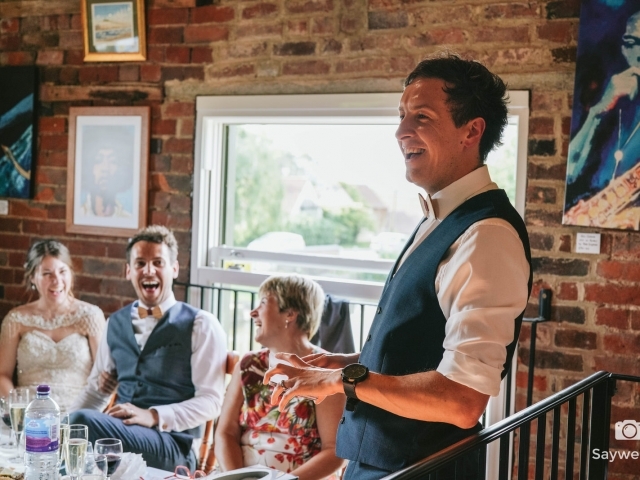 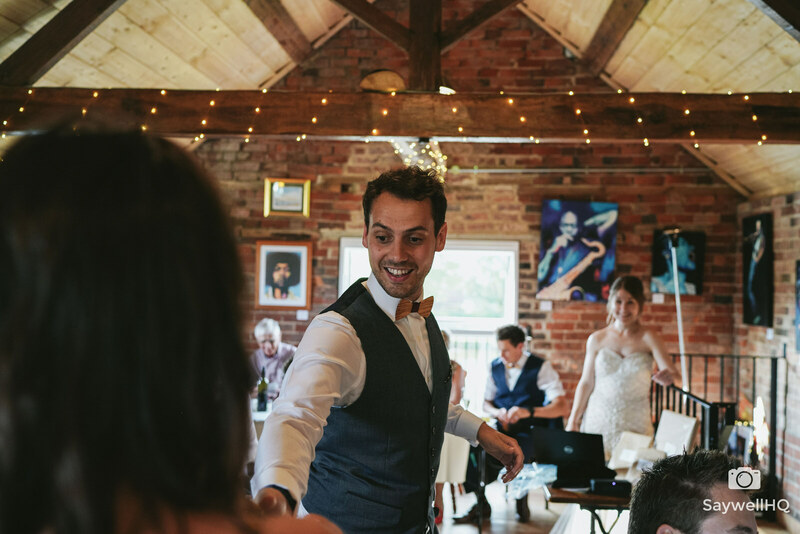 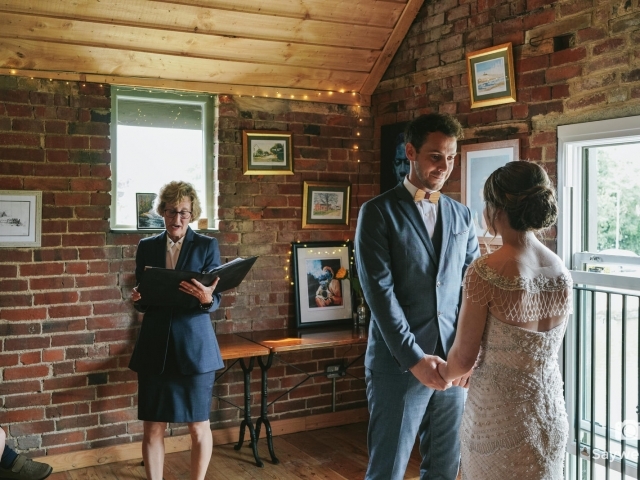 An important part of a Humanist wedding is the Celebrant and the lady that Oli and Emma chose was fantastic – she judged what was needed and delivered it! 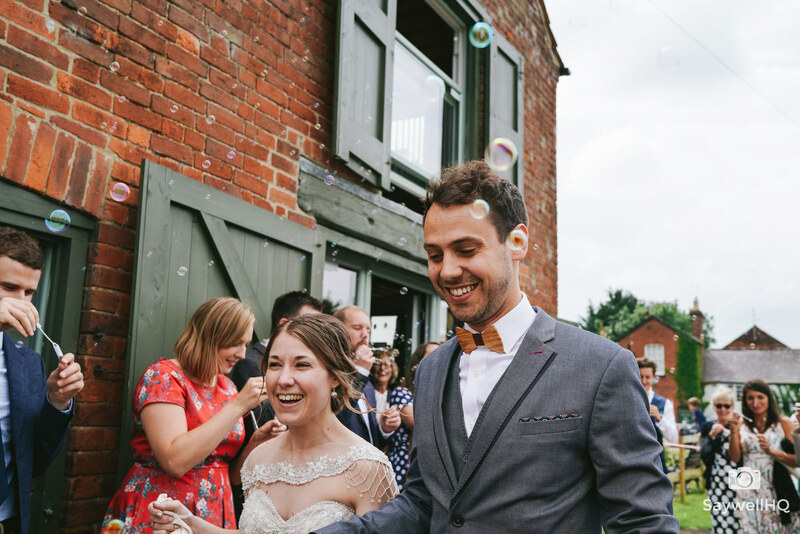 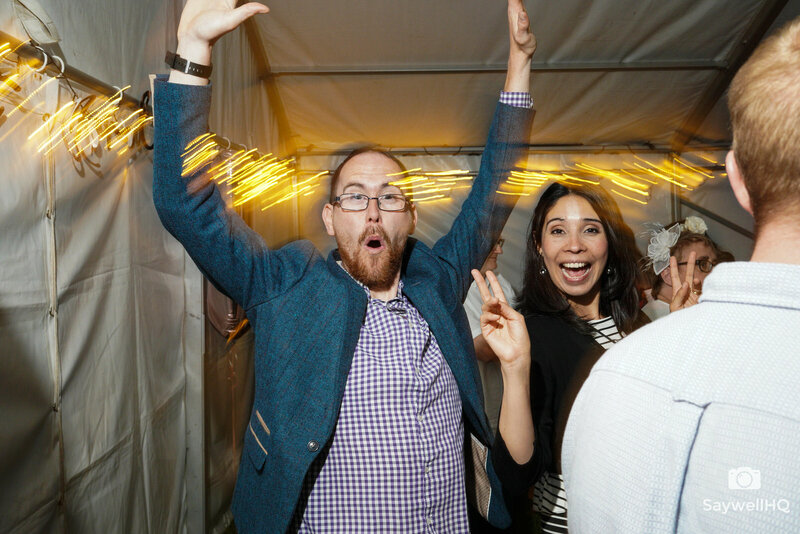 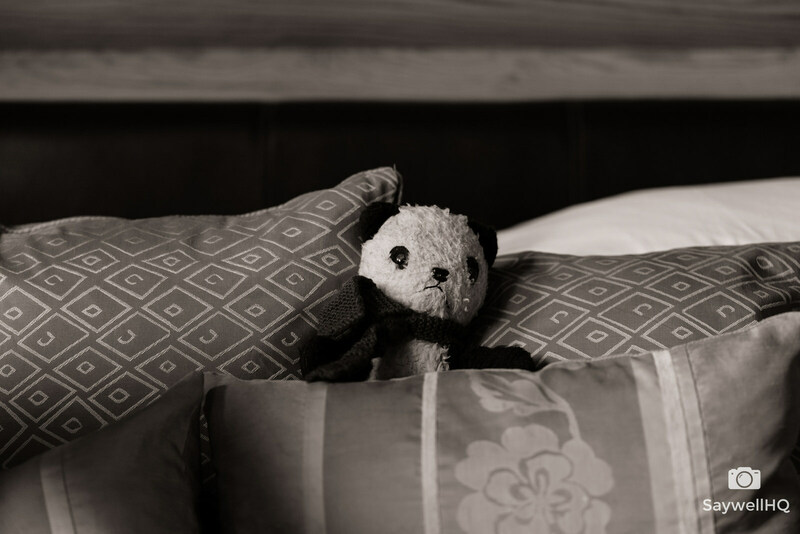 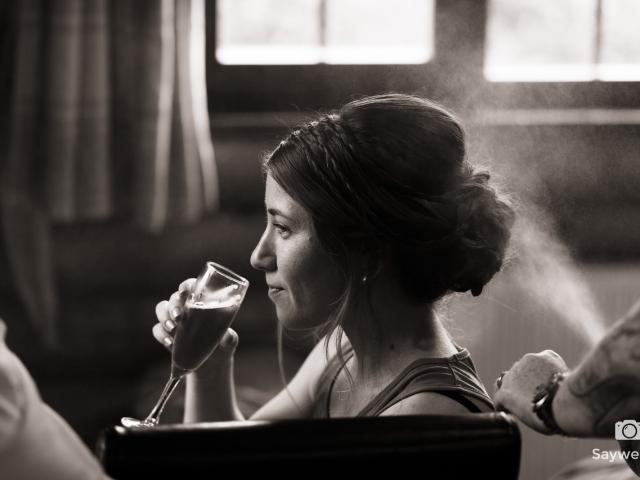 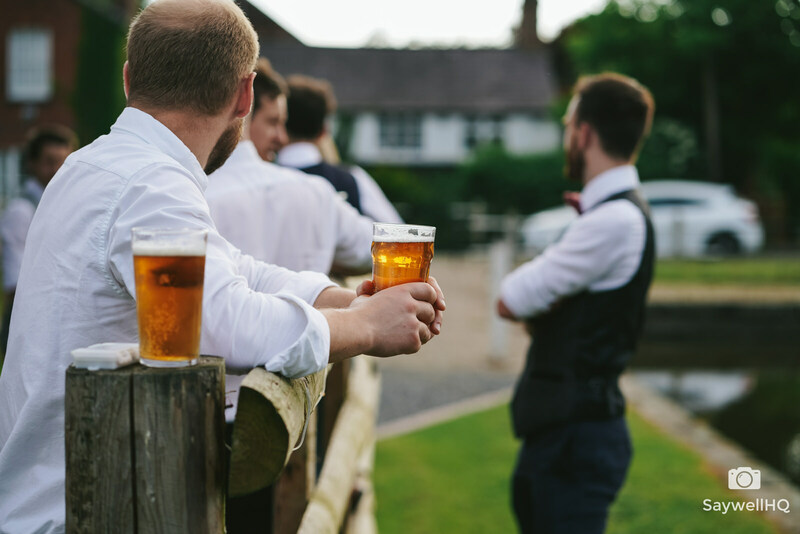 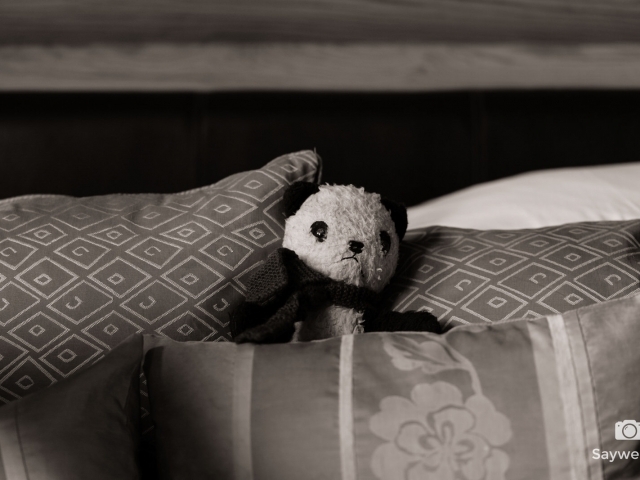 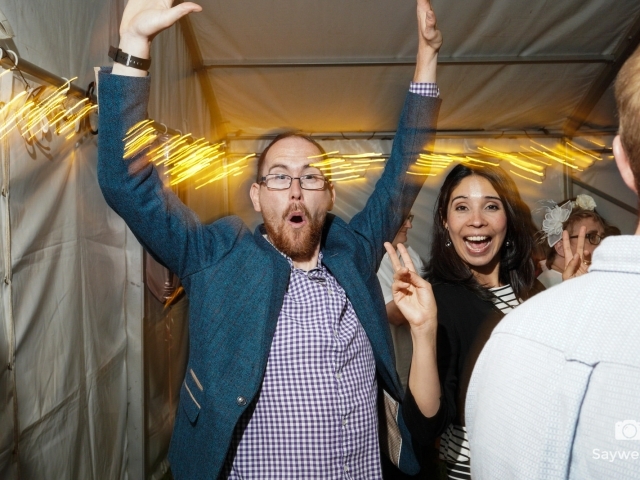 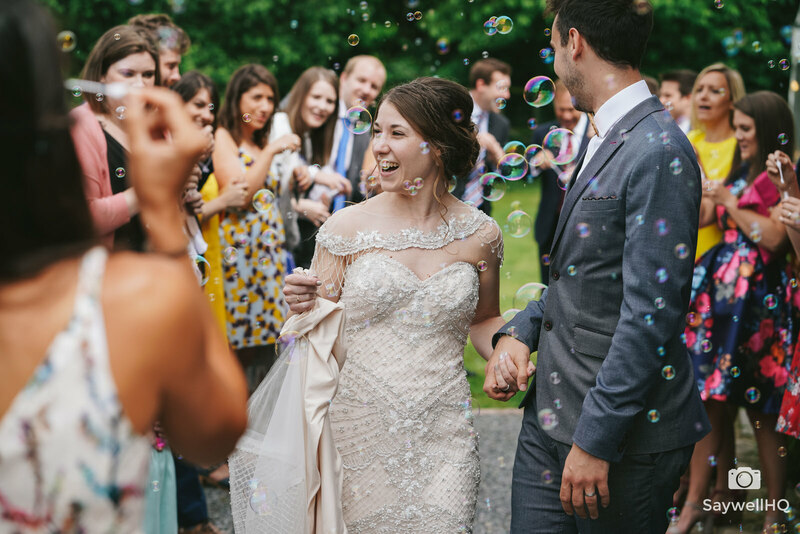 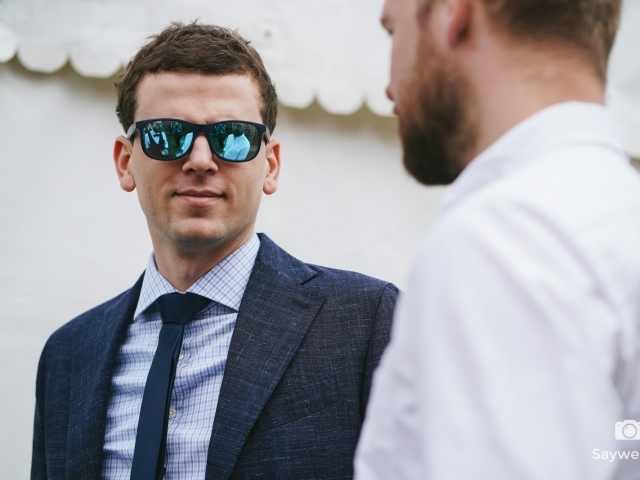 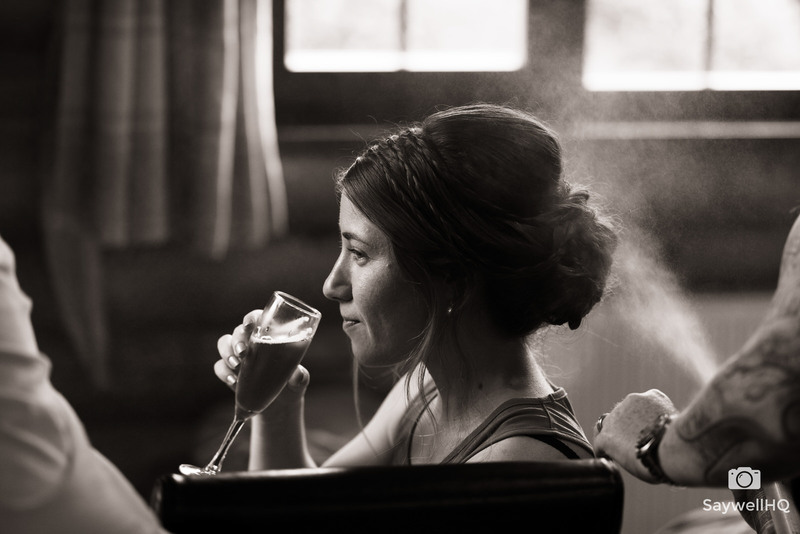 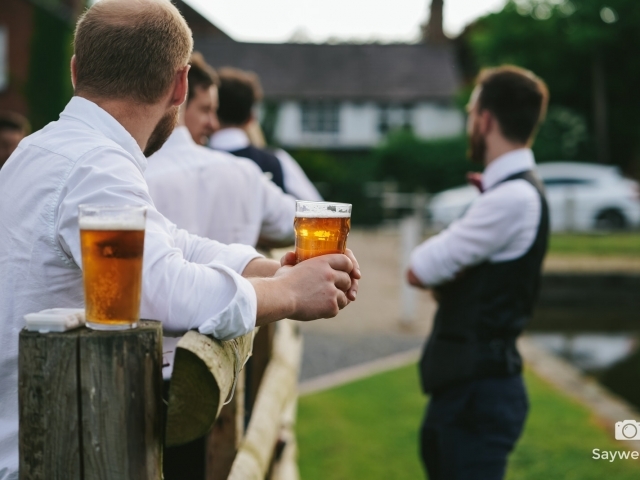 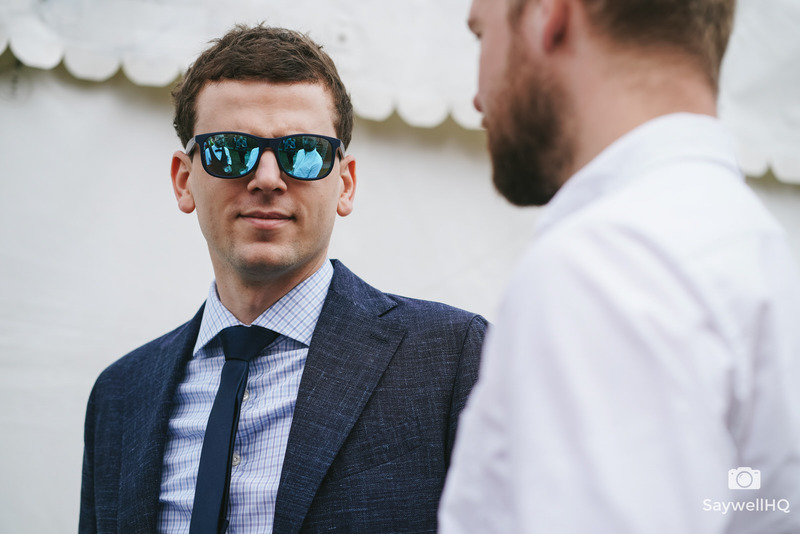 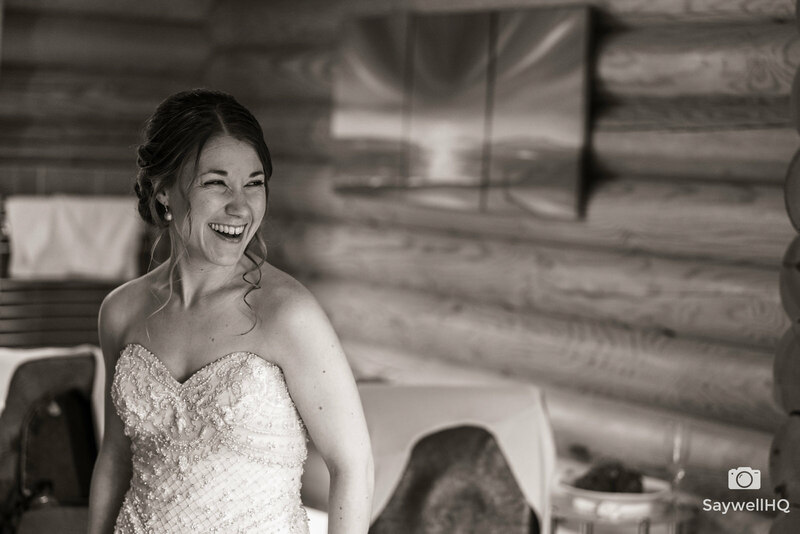 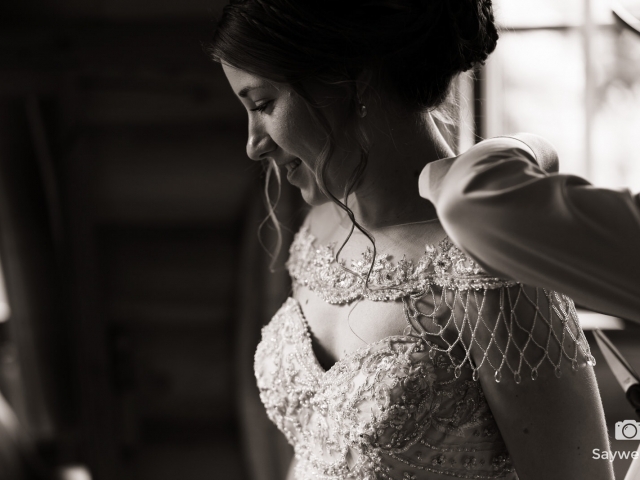 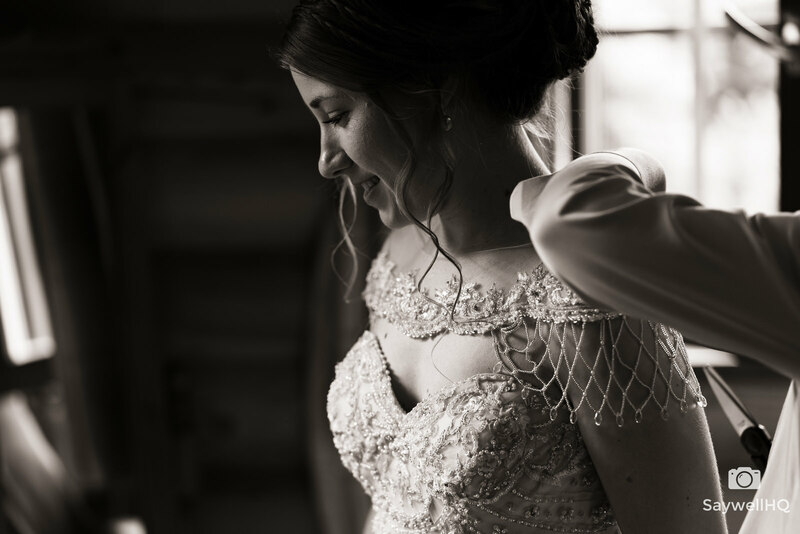 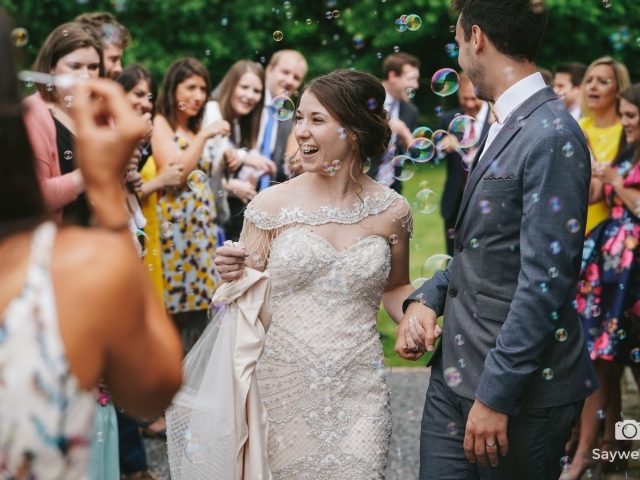 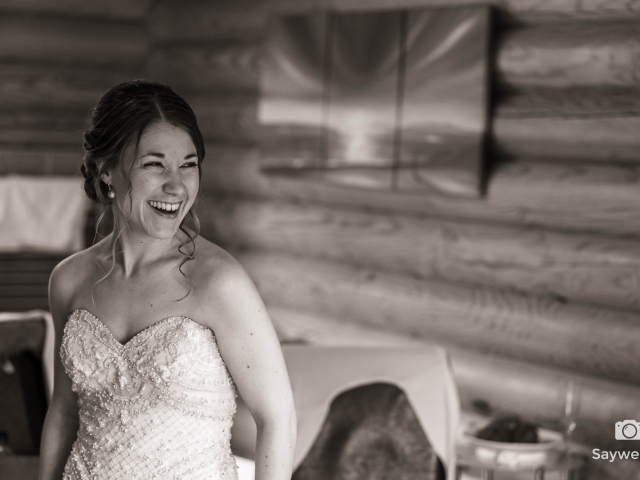 The rest of the day was a bit of a blur – even for us wedding photographers, sometimes you only remember a part of the day when starting the editing process! 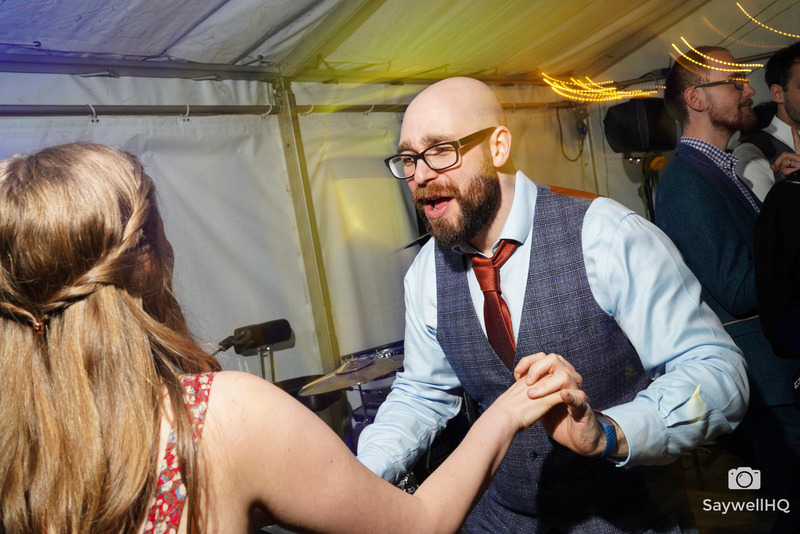 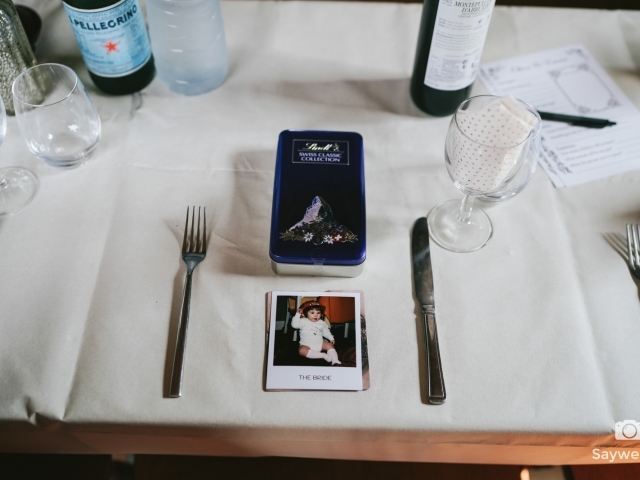 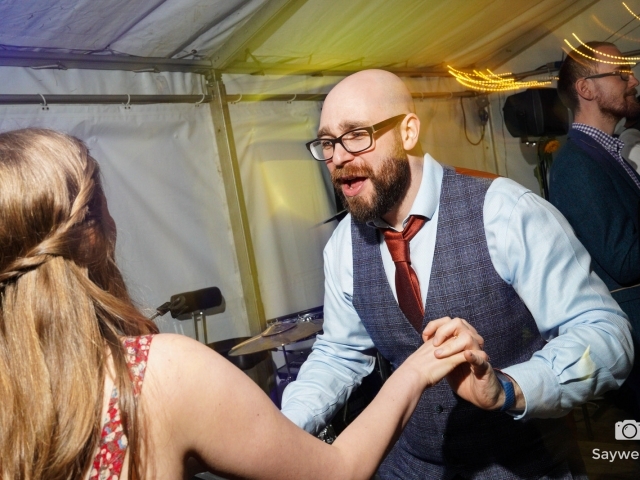 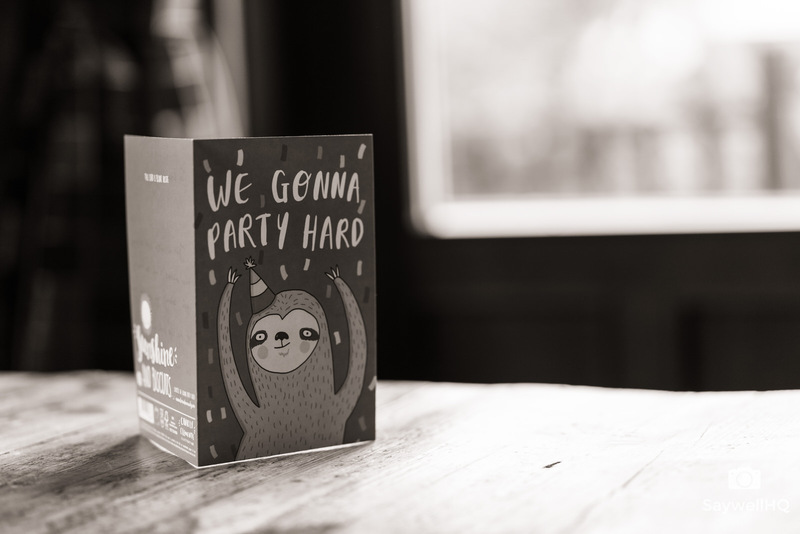 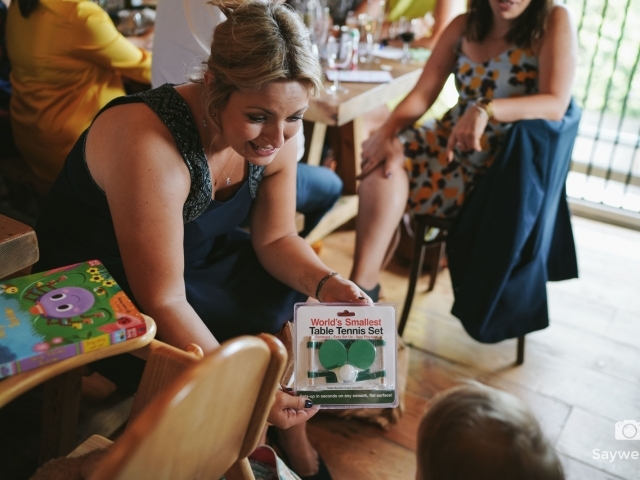 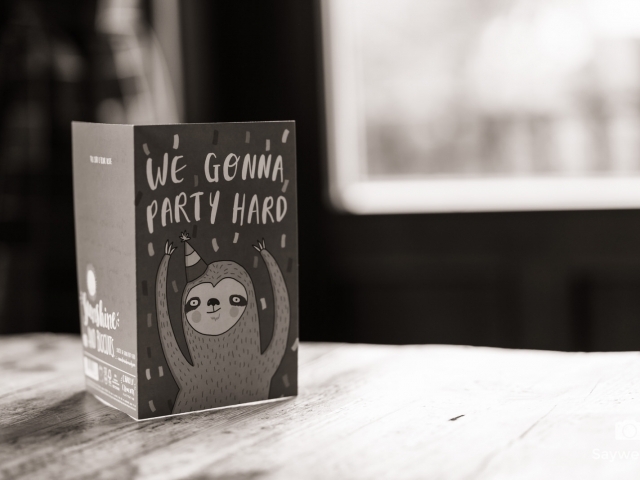 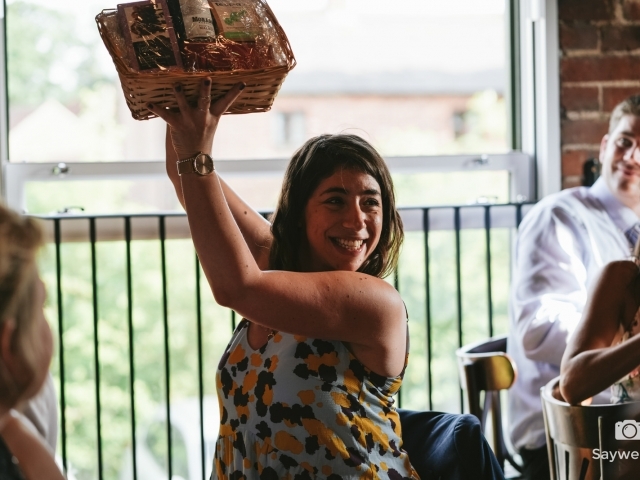 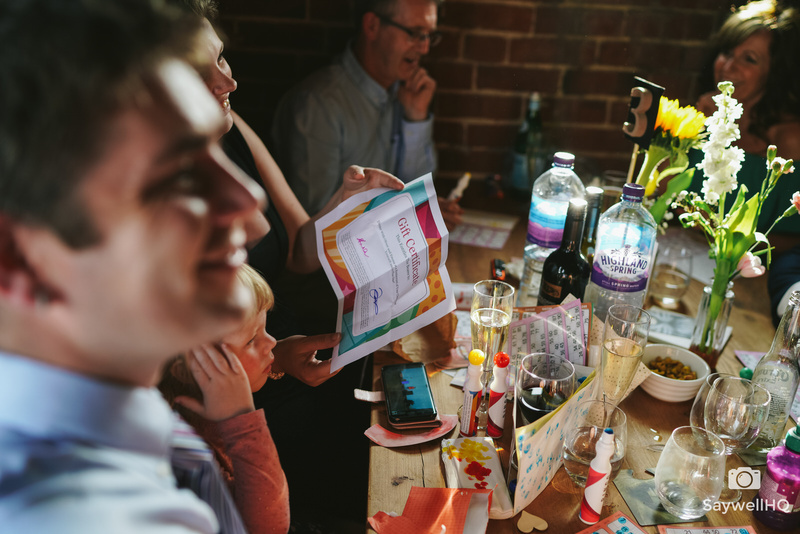 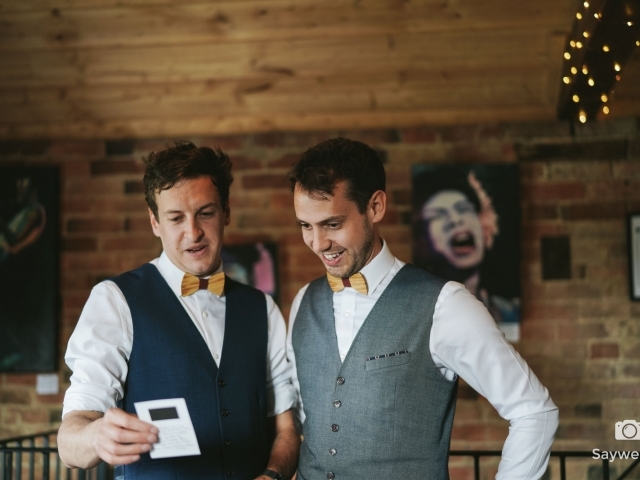 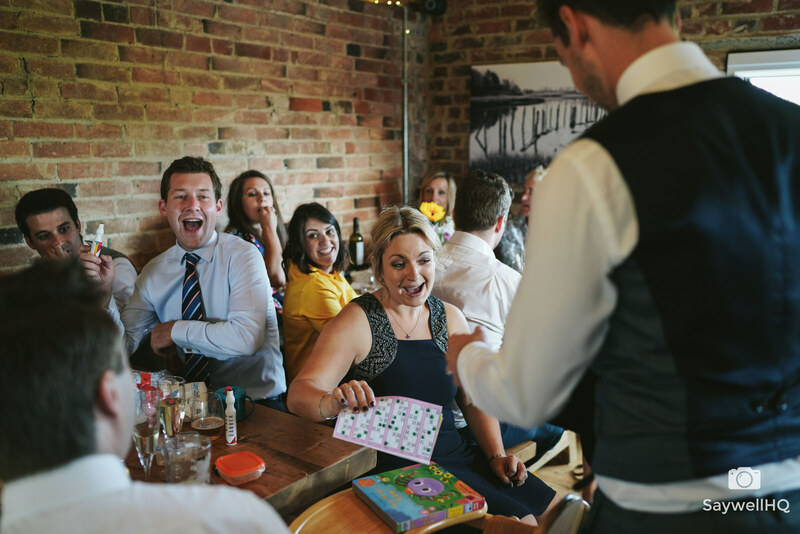 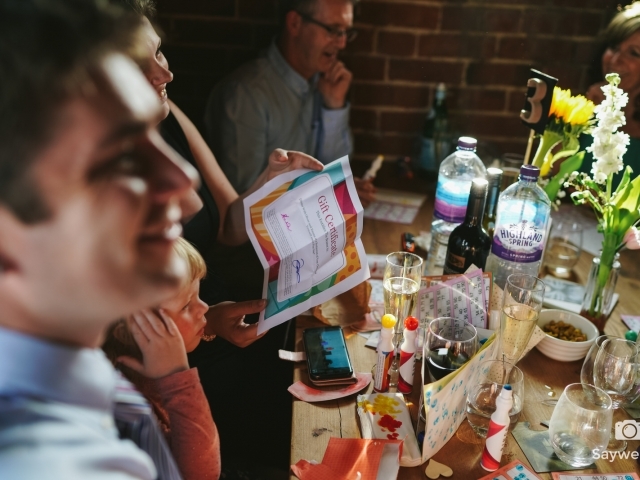 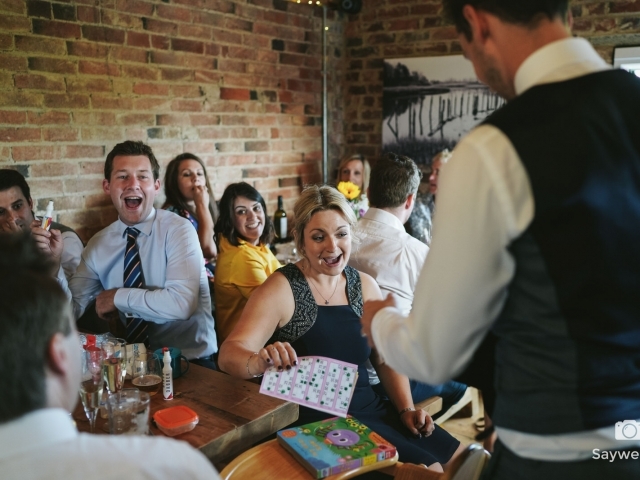 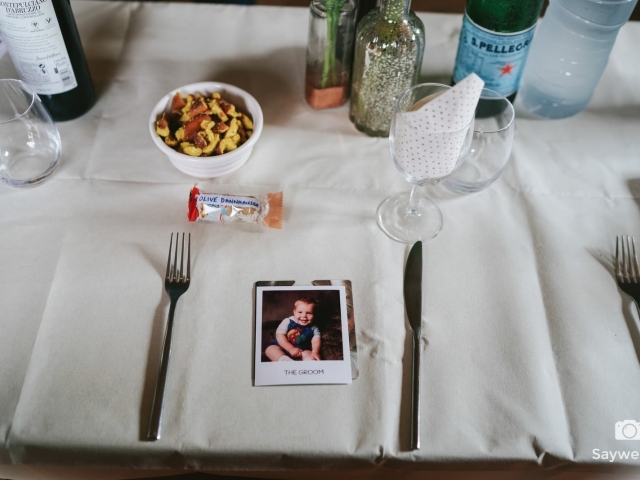 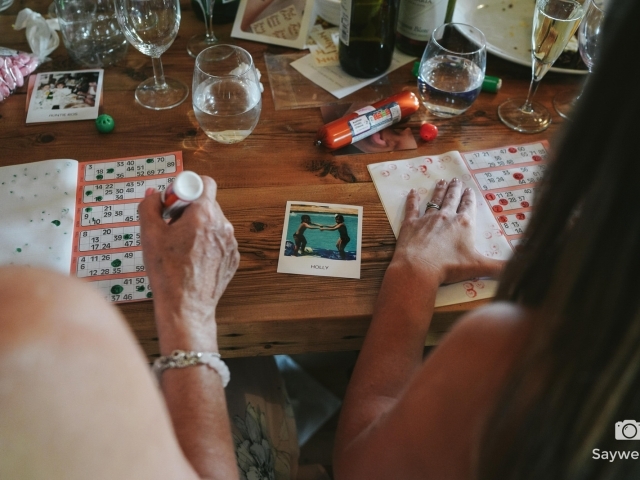 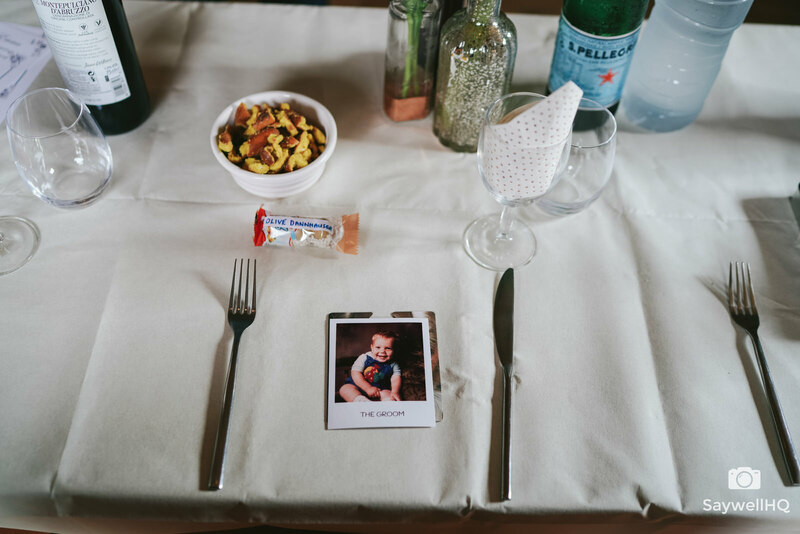 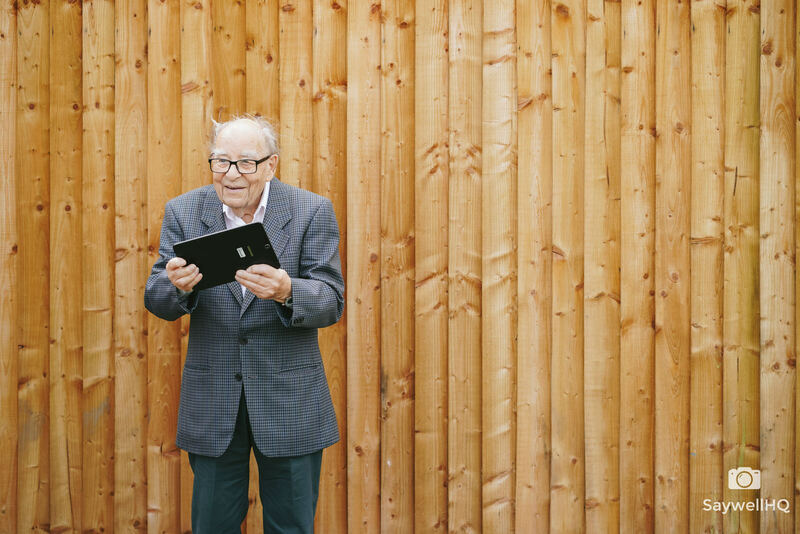 My favourite part of Emma and Oli’s Humanist wedding was the Bingo! 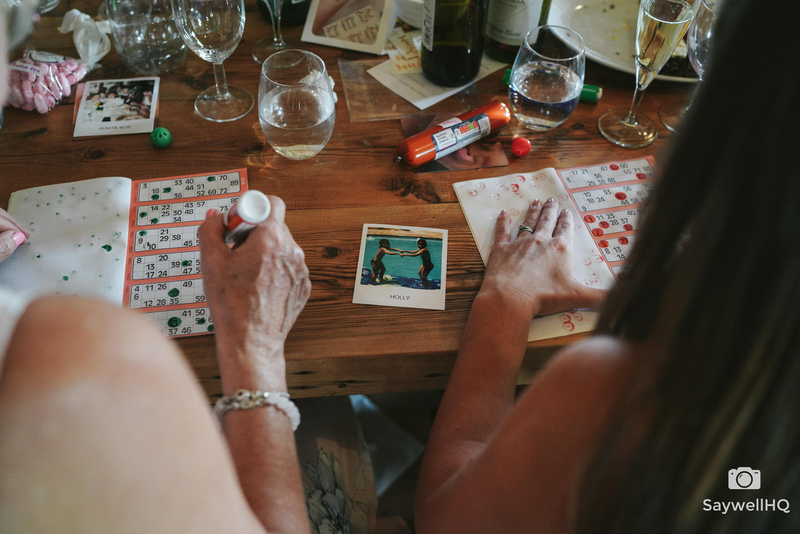 Yep, Bingo. 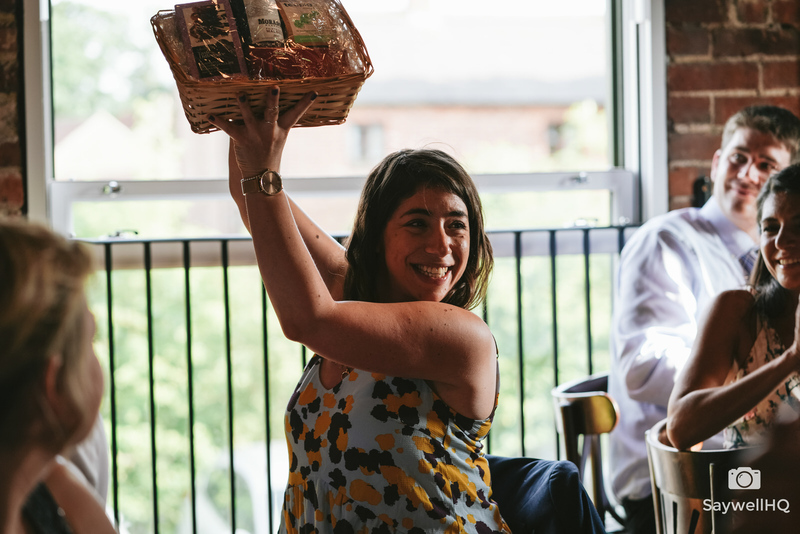 The guys had prepared prizes ranging from wine, lottery tickets, games, pineapple and even a thumb war to decide on a joint winner! I really enjoyed the day, the food was amazing, the sun came out and I think everyone had a great time! 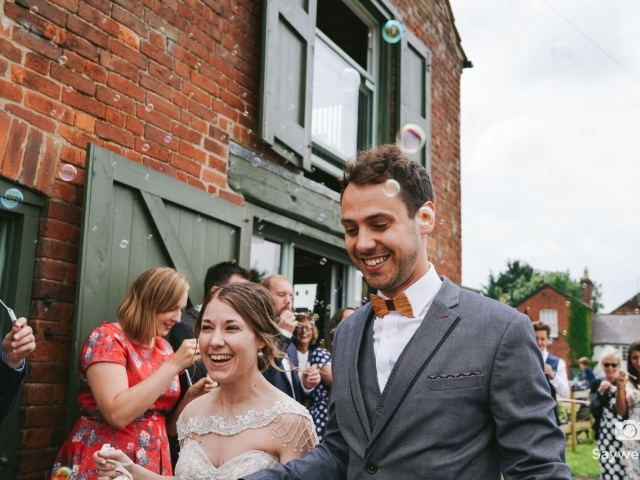 Above is a small Wedding Photofilm and below a few pictures from the Humanist Wedding day.